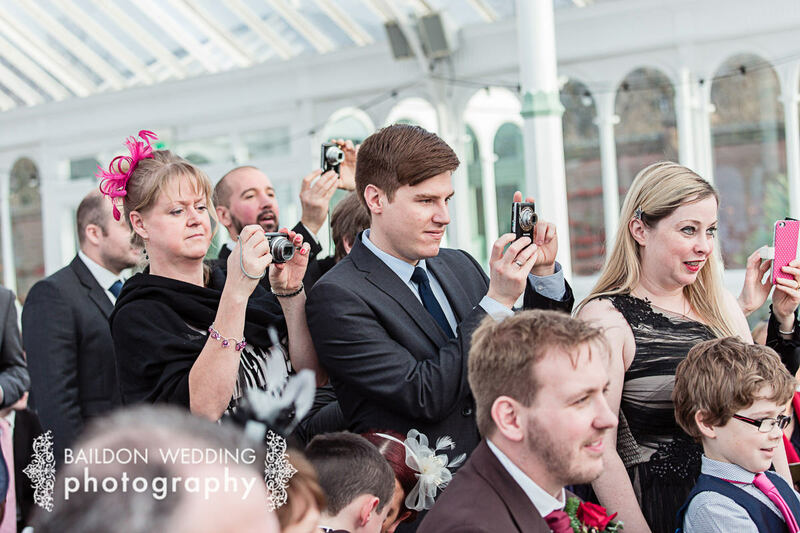 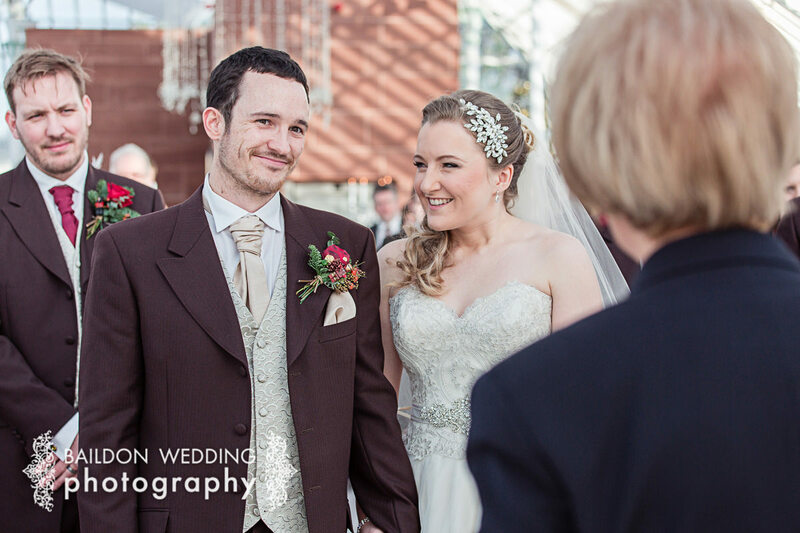 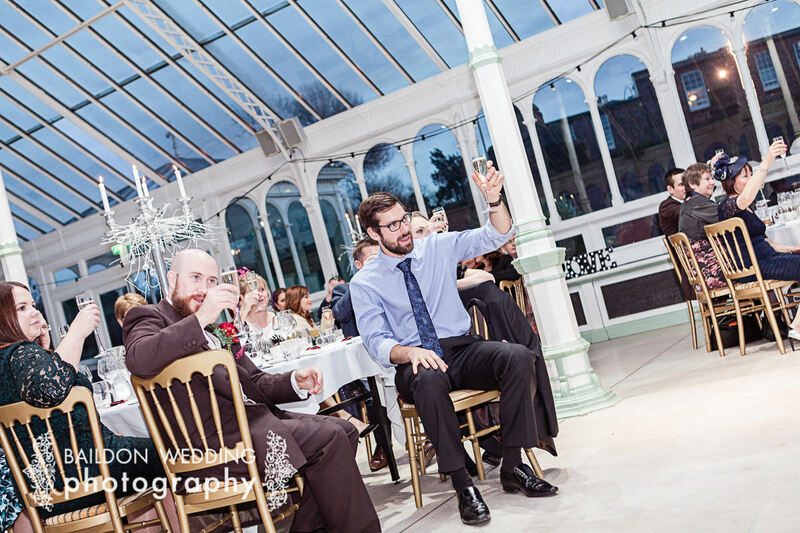 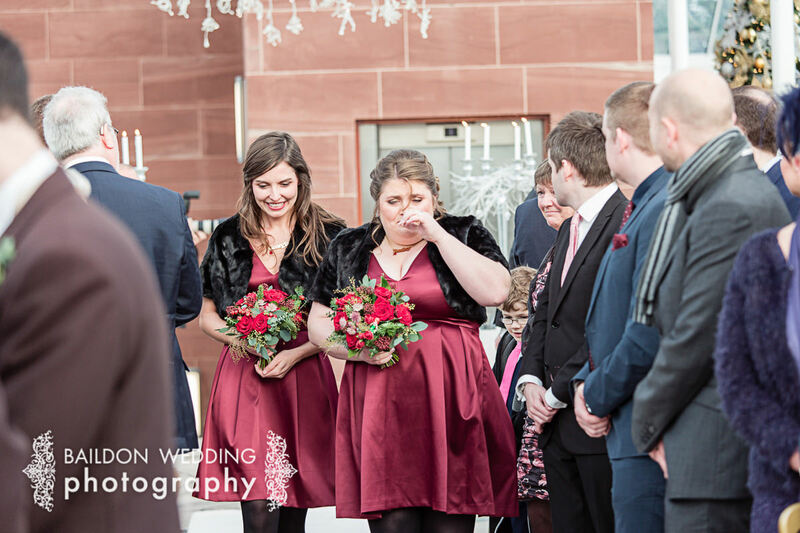 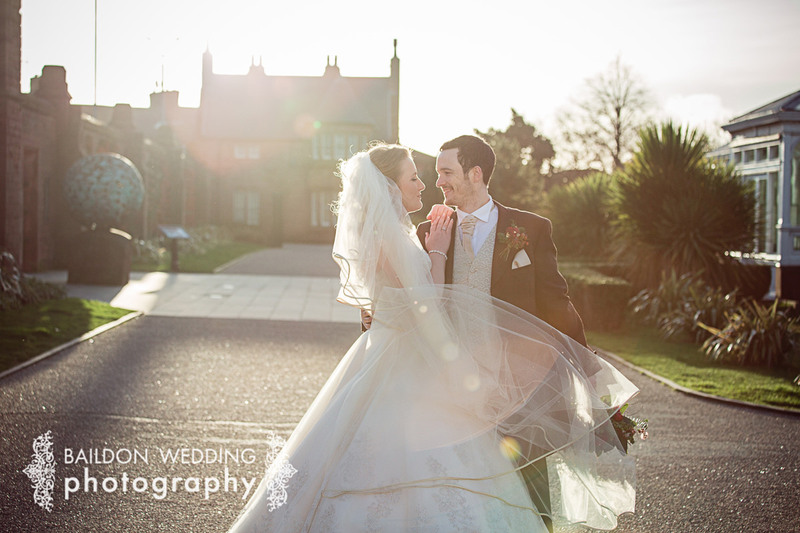 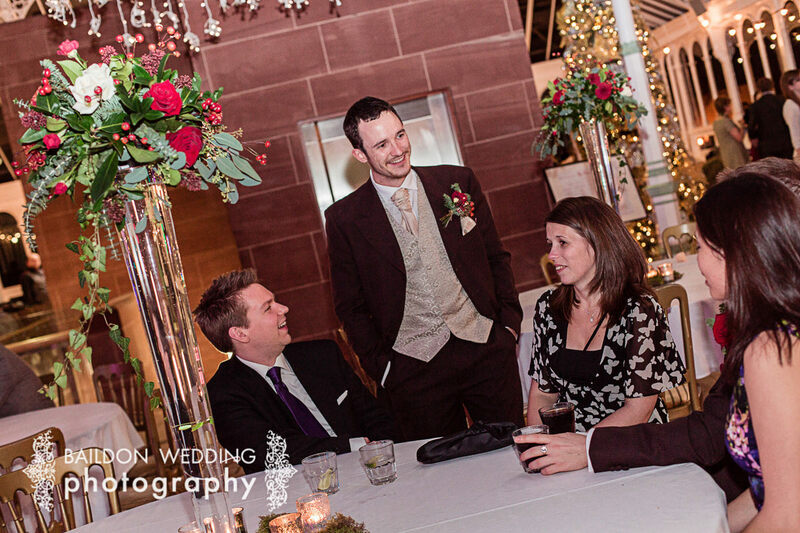 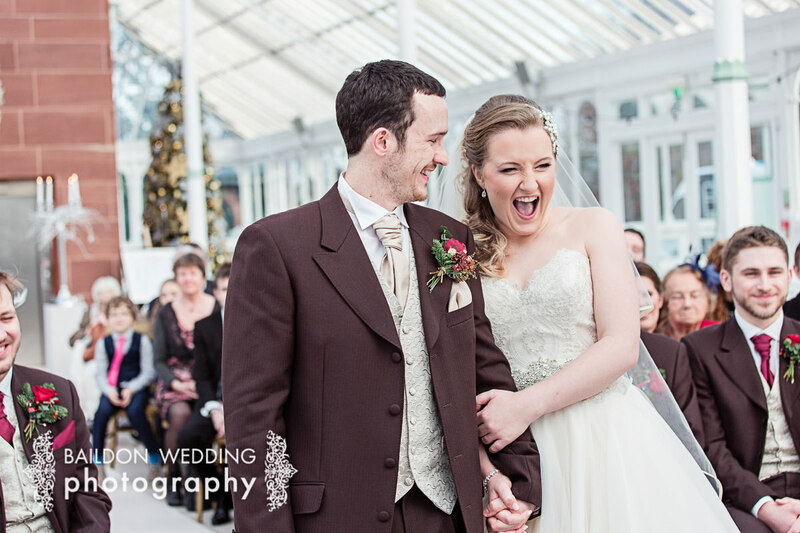 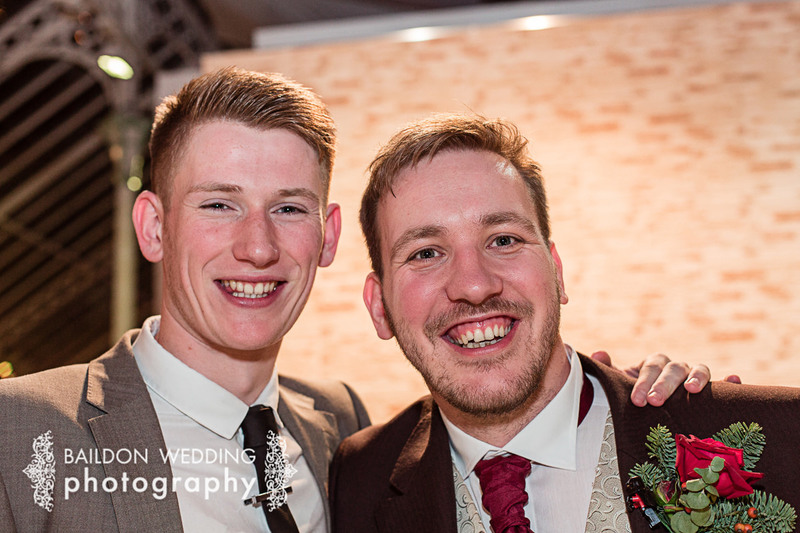 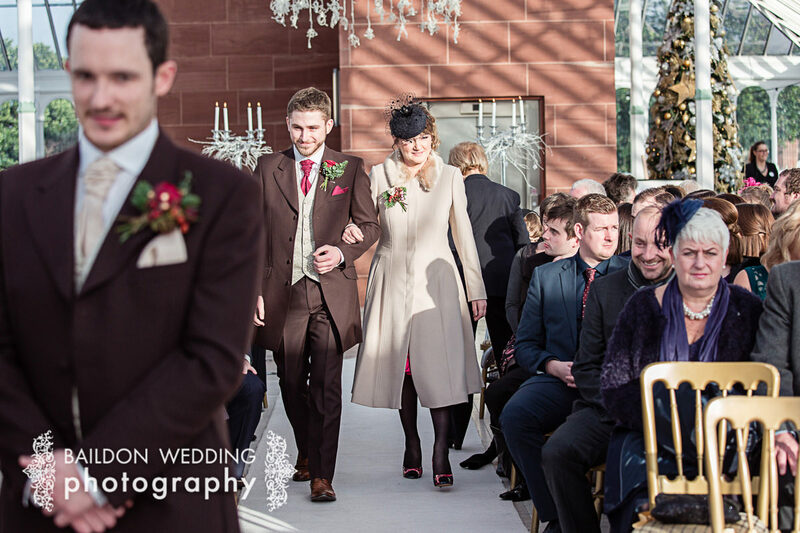 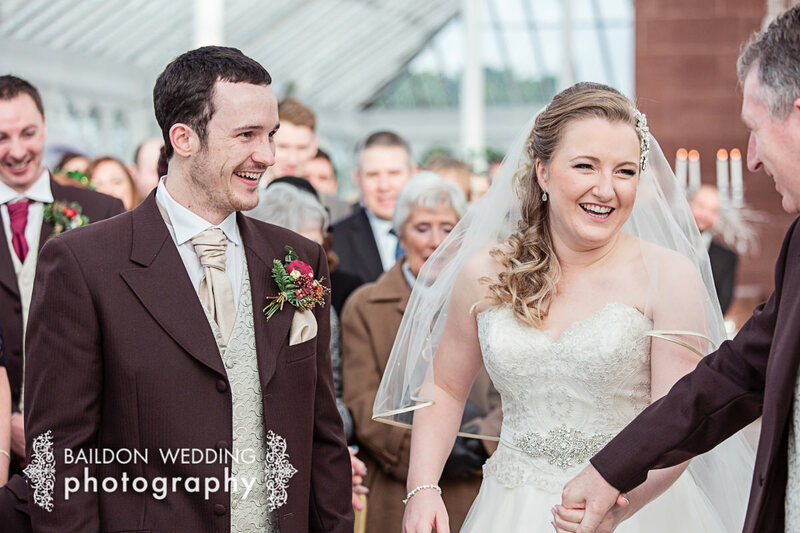 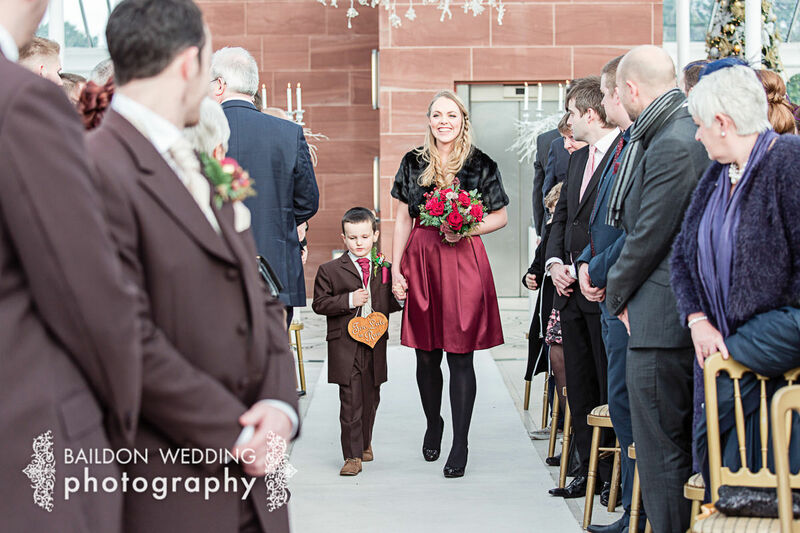 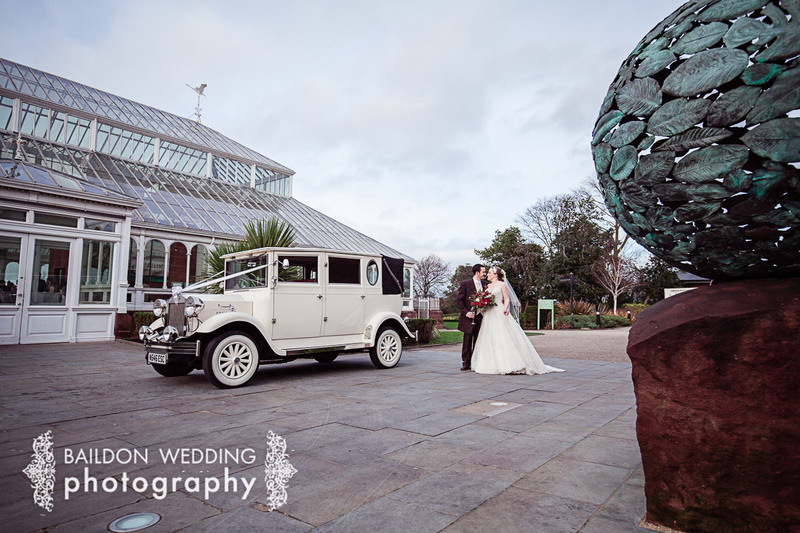 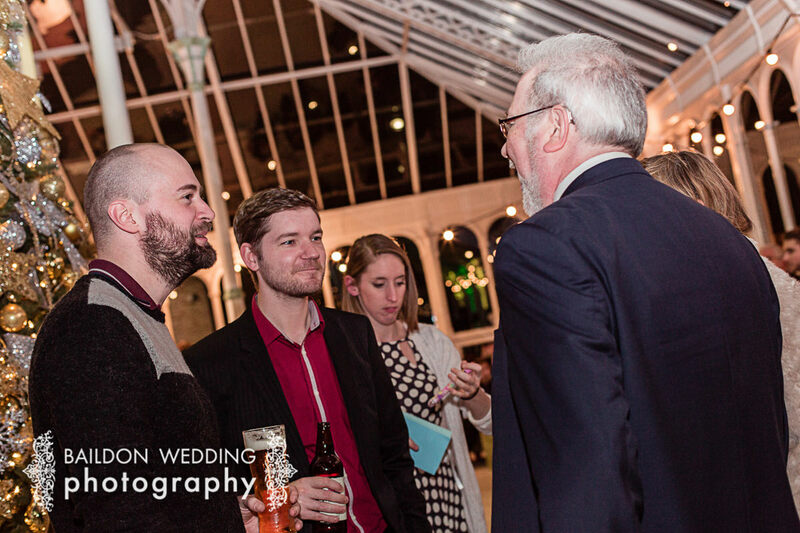 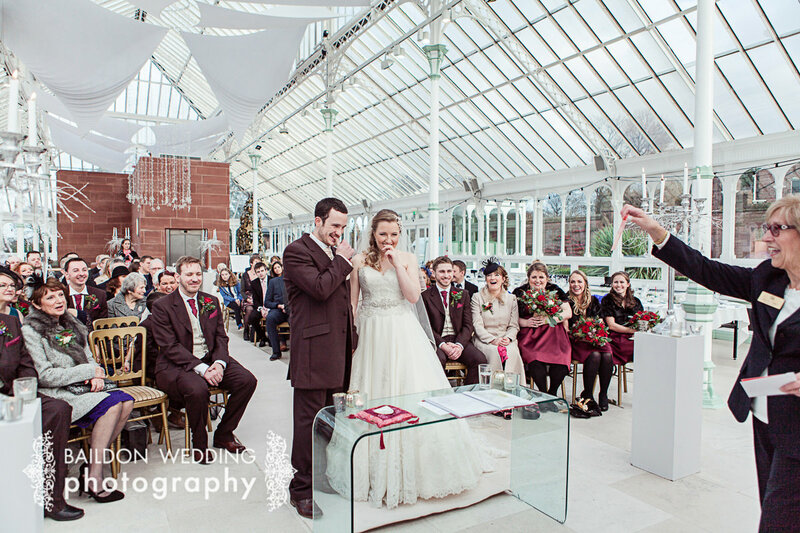 Two years ago today, these crazy cats got married on a crisp winter day at the Isla Gladstone Conservatory in Liverpool. 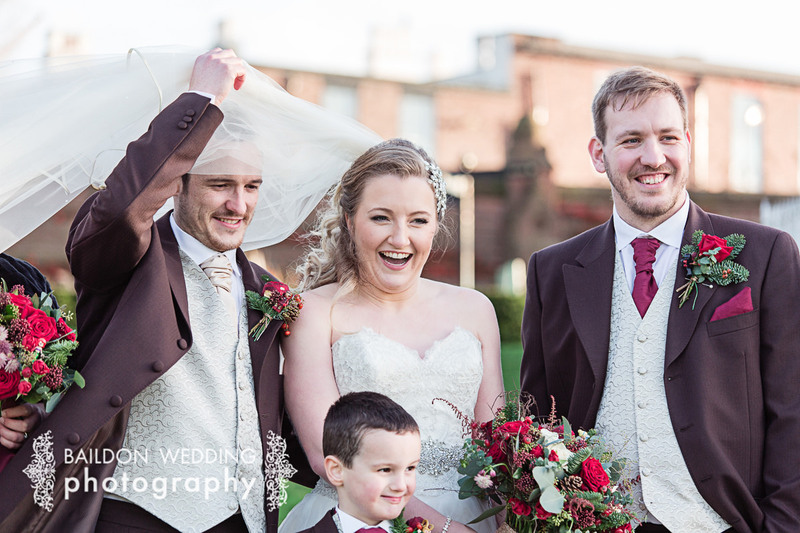 Holly and Melv had been guests at a Yorkshire wedding I photographed and contacted me to see if I would travel to Liverpool to capture their nuptials. 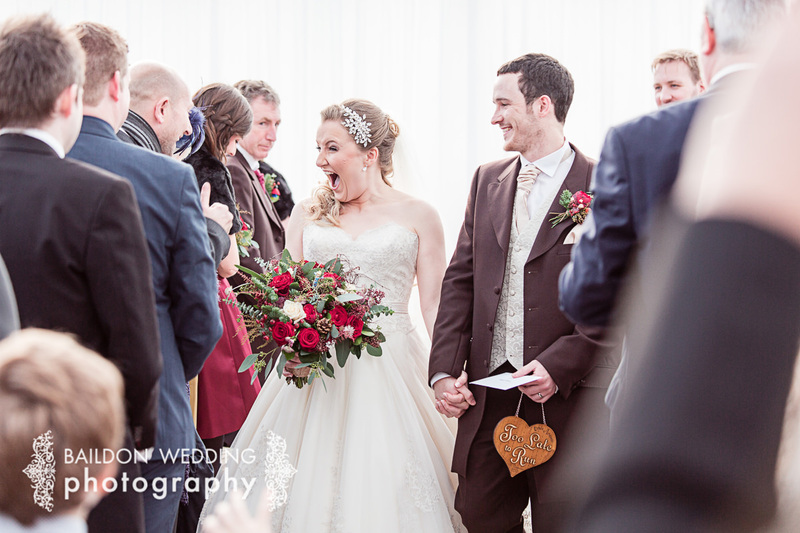 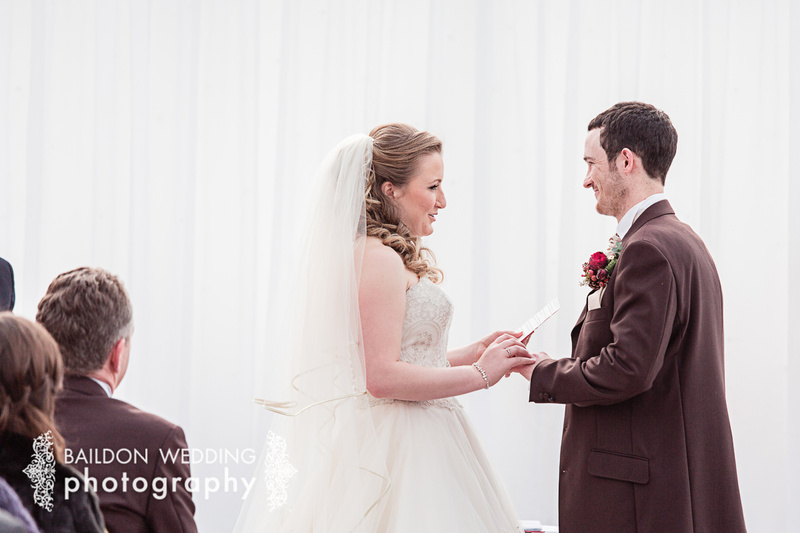 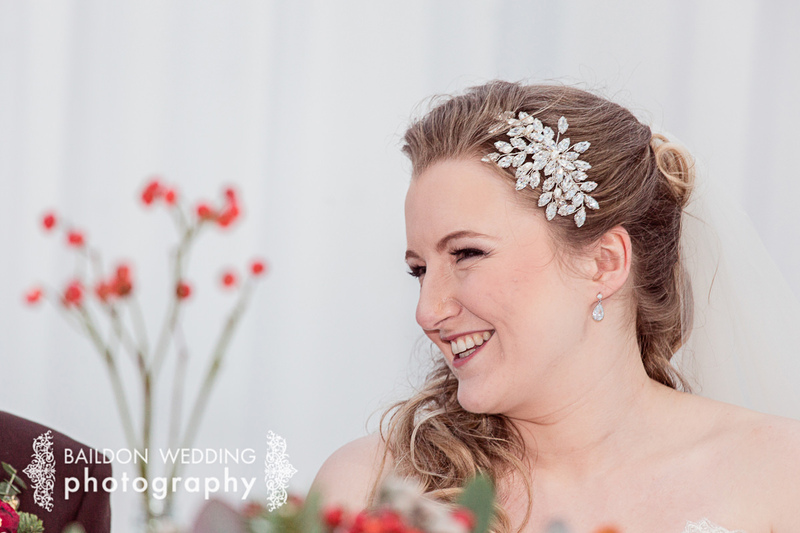 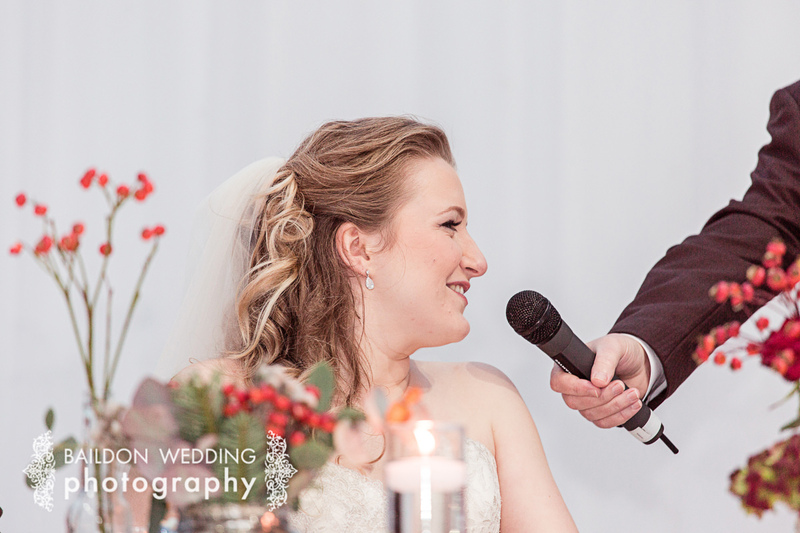 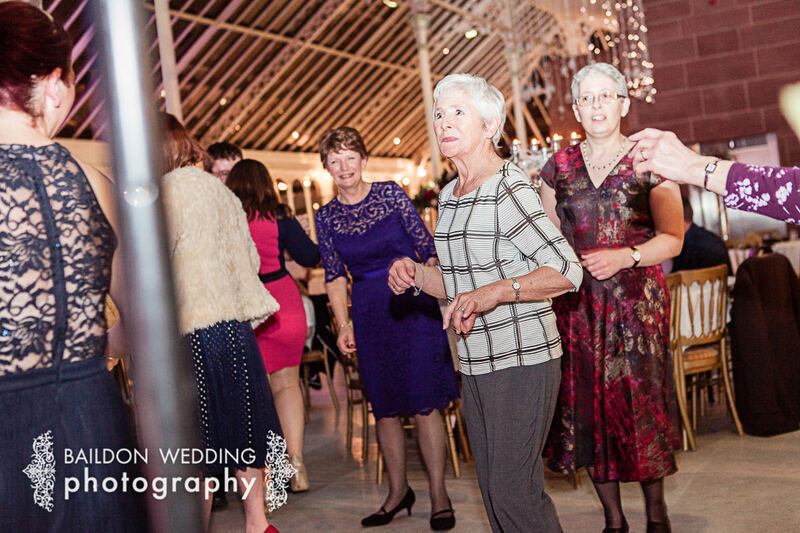 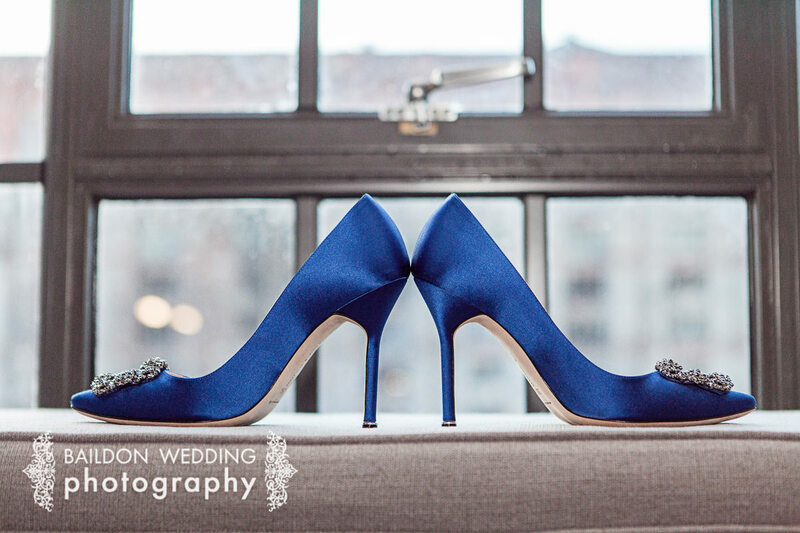 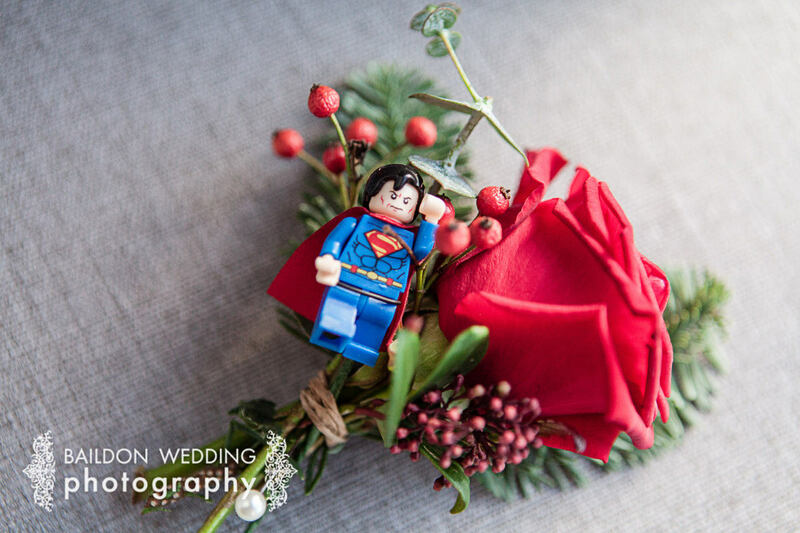 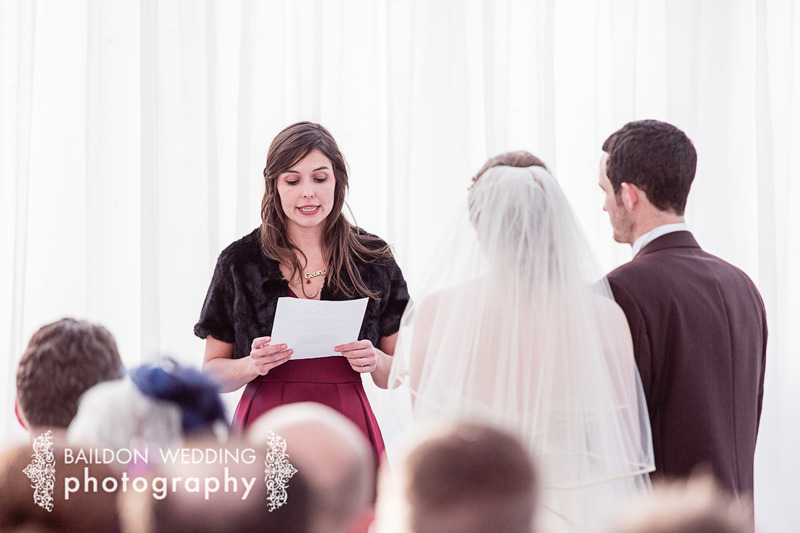 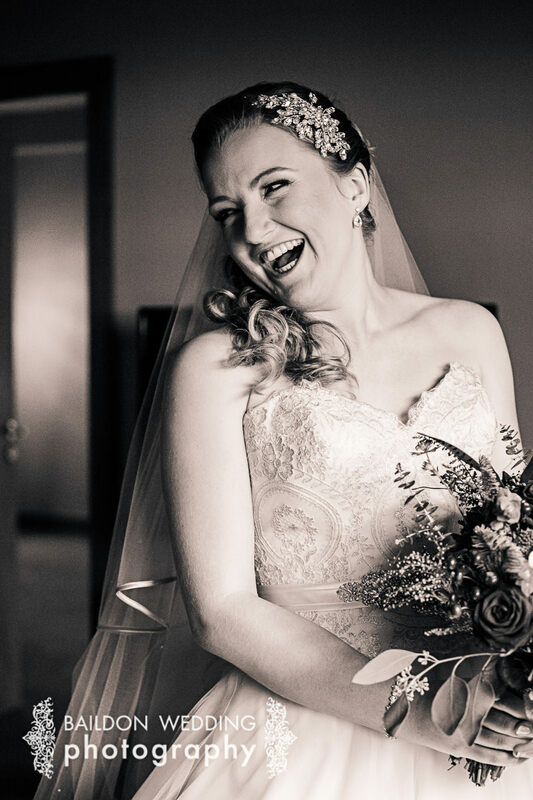 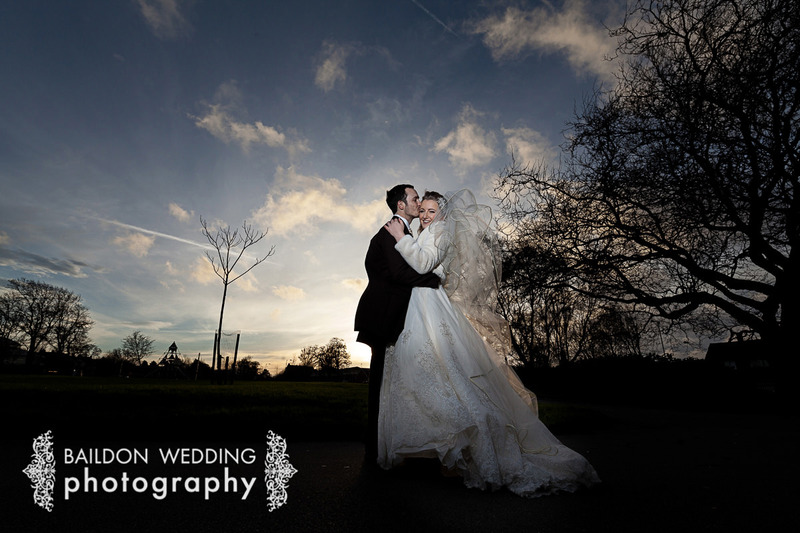 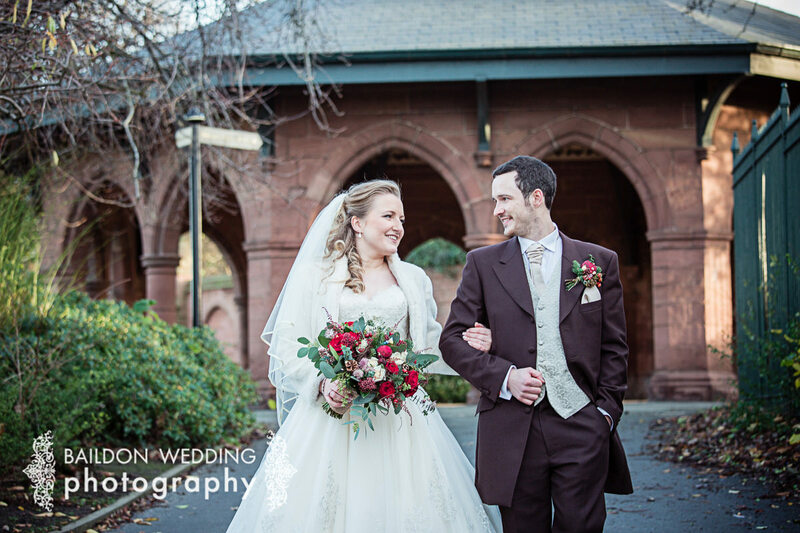 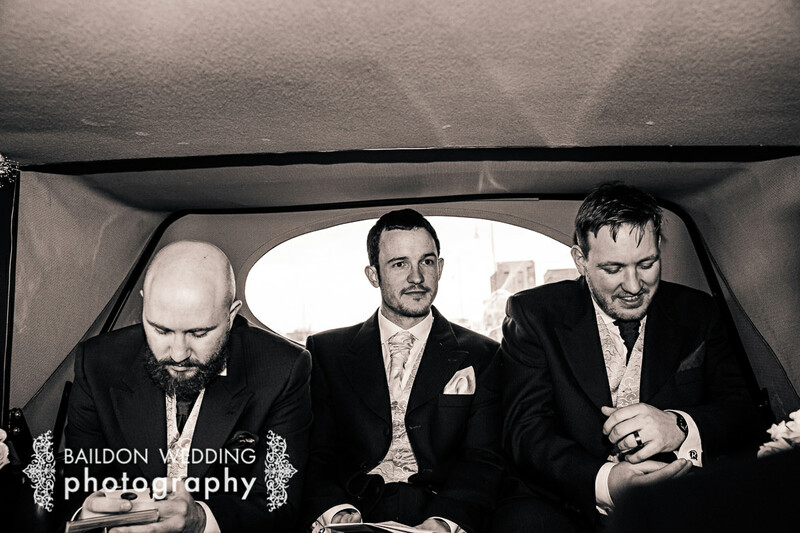 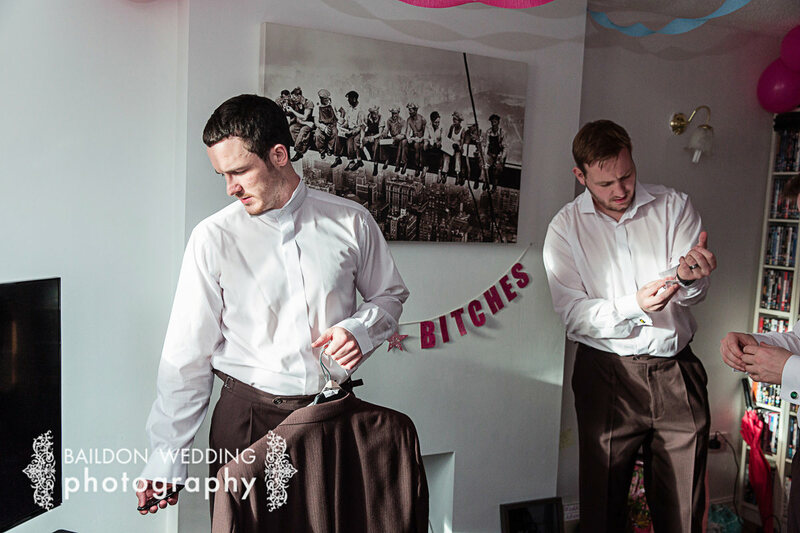 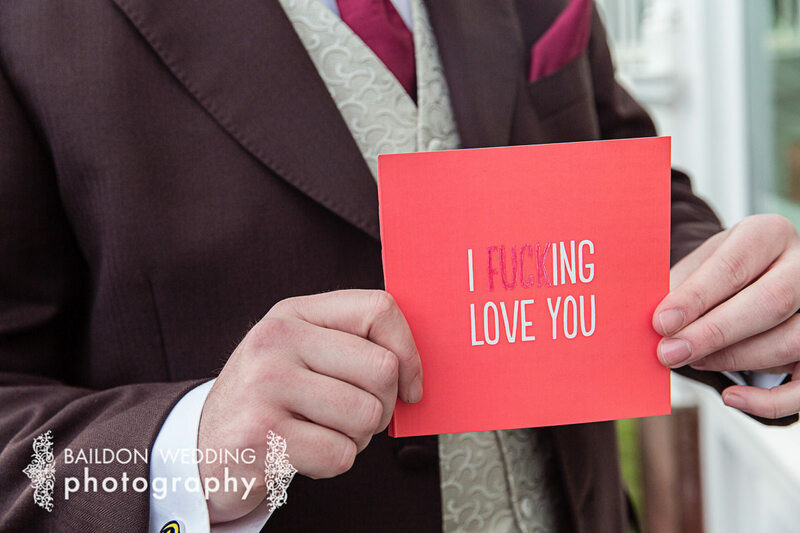 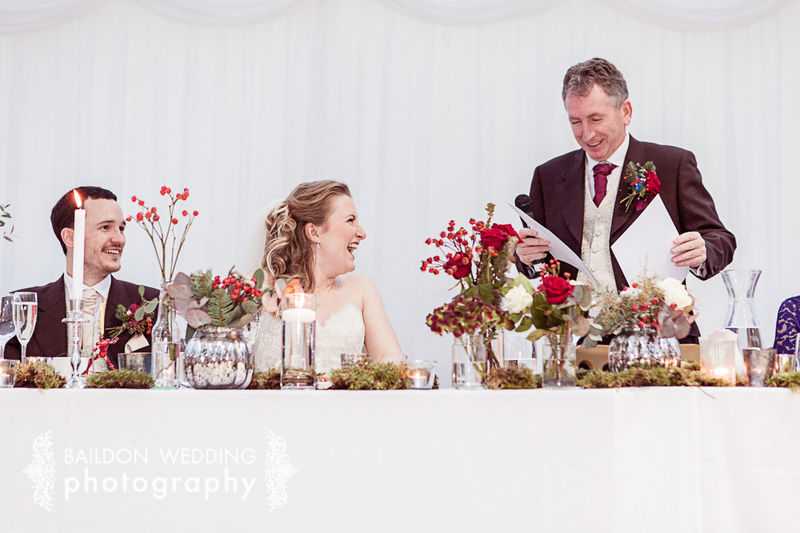 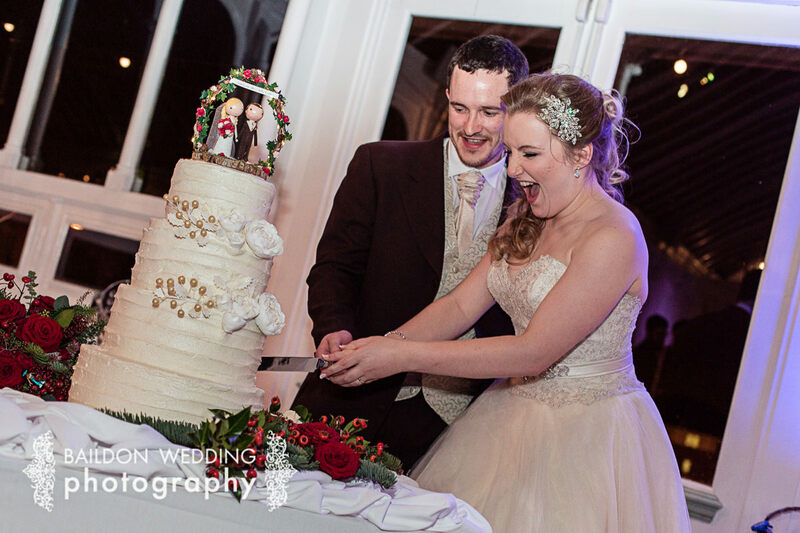 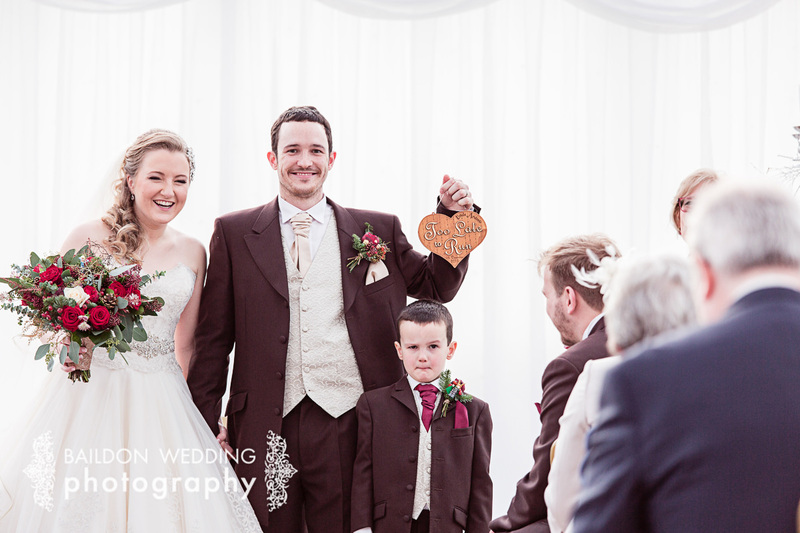 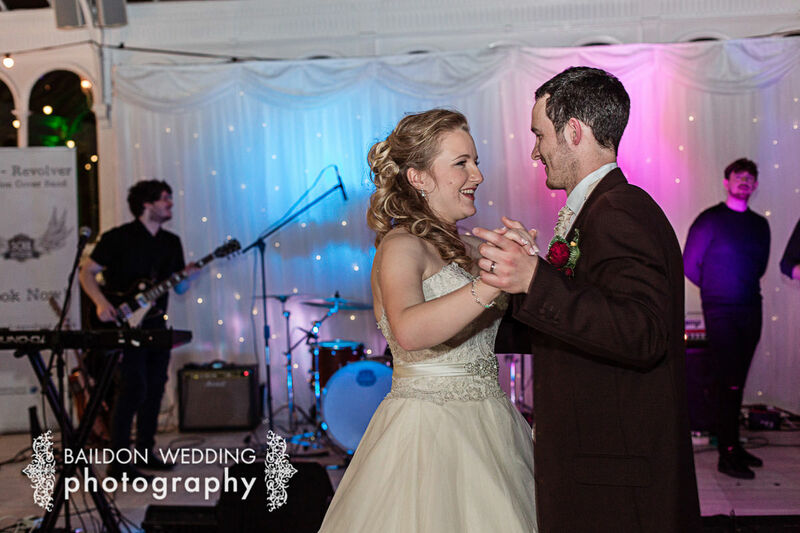 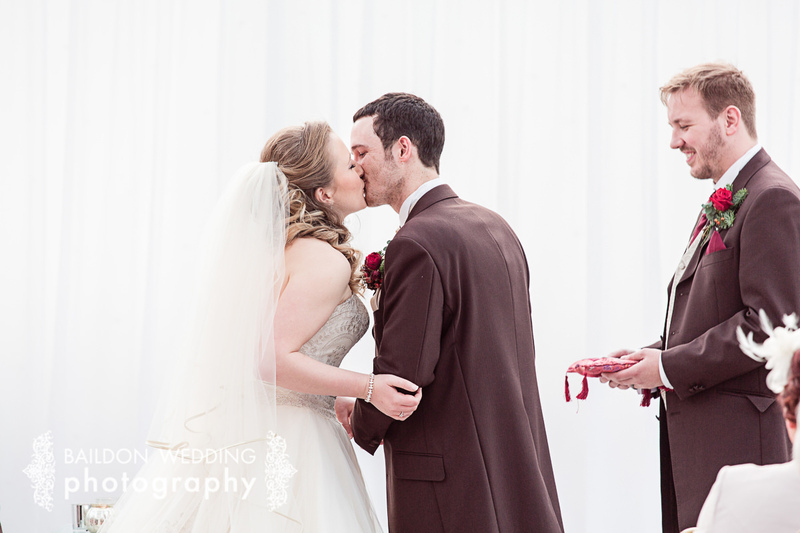 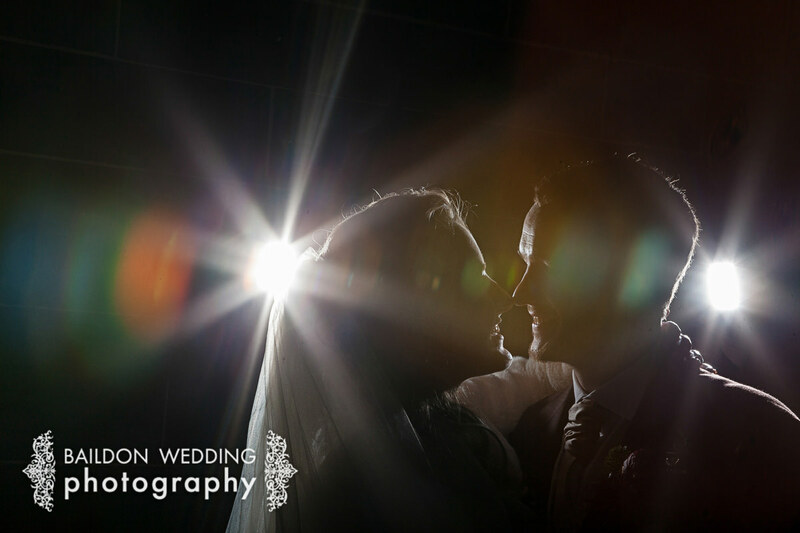 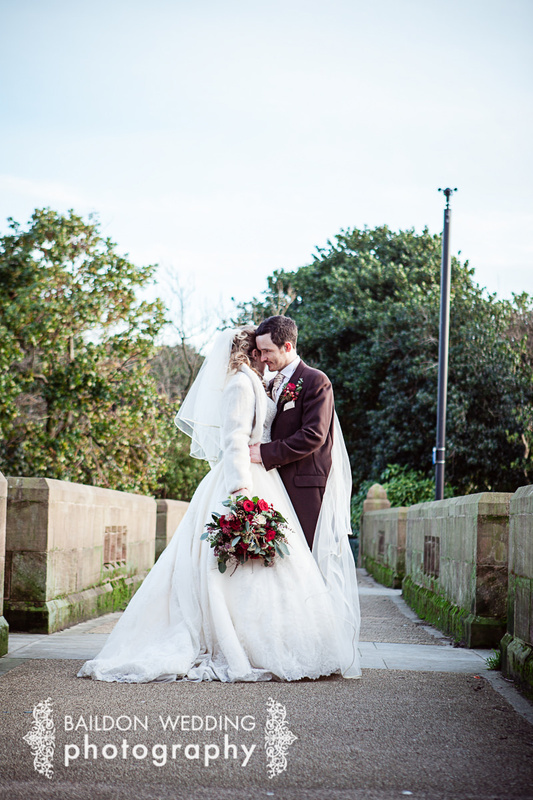 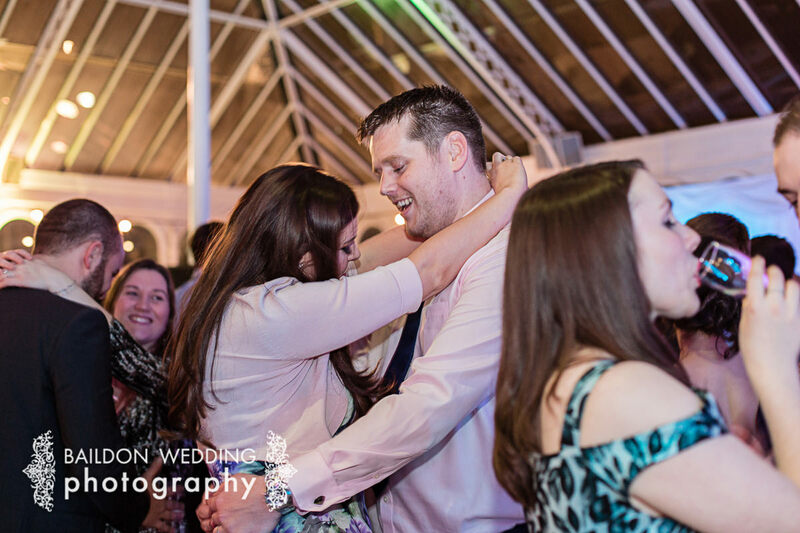 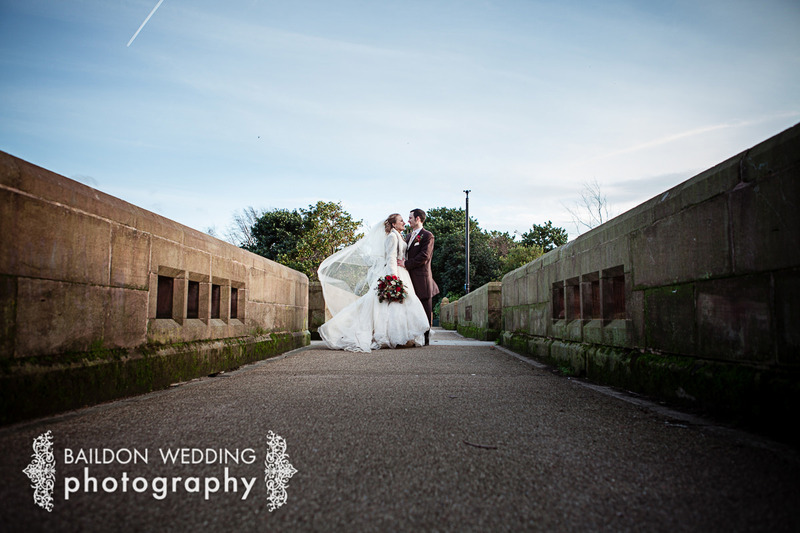 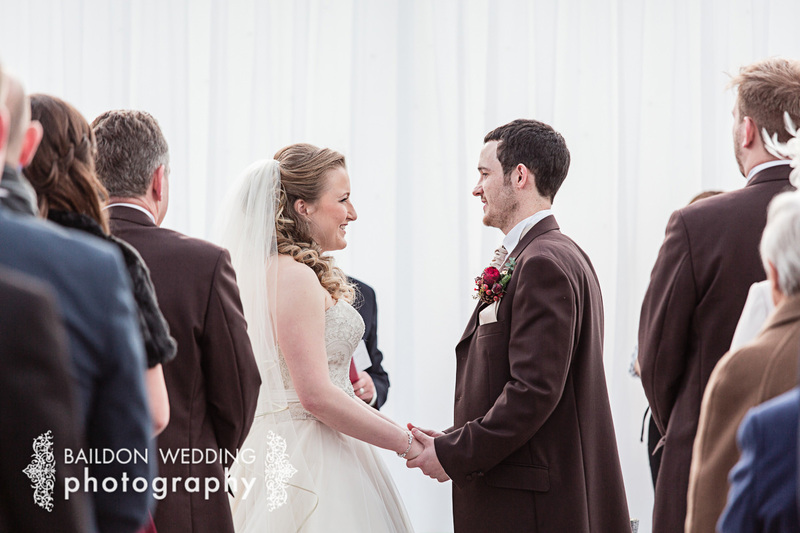 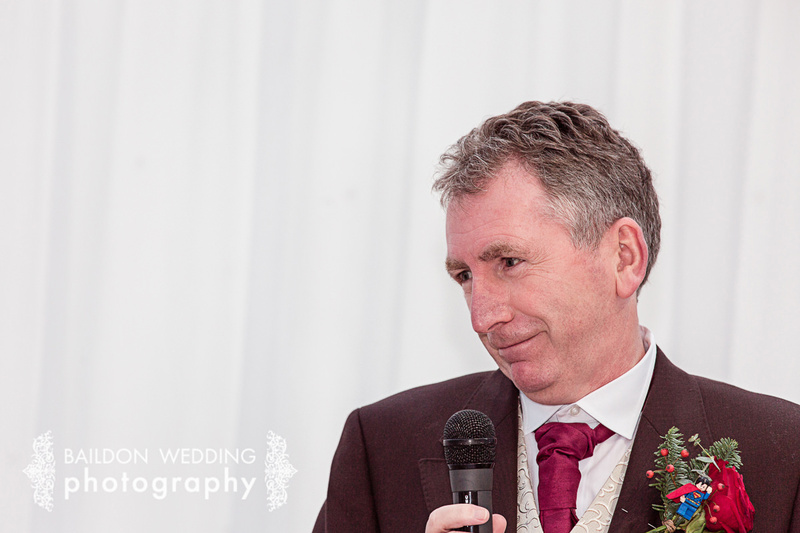 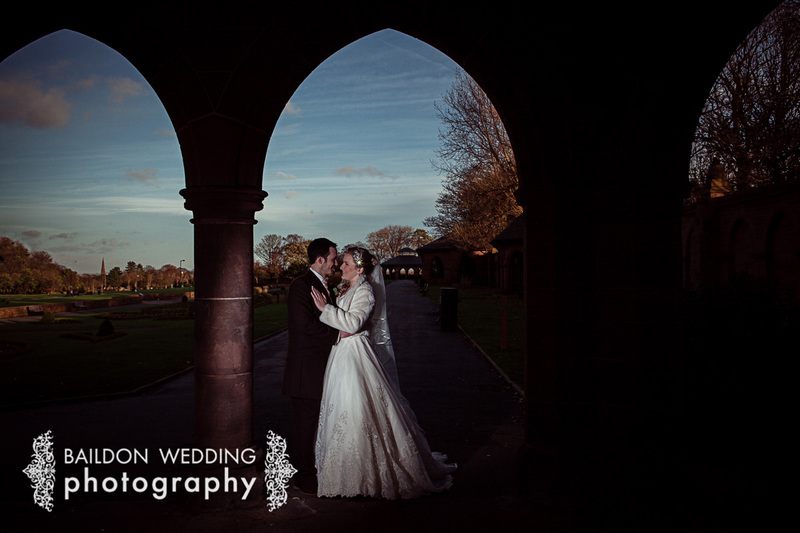 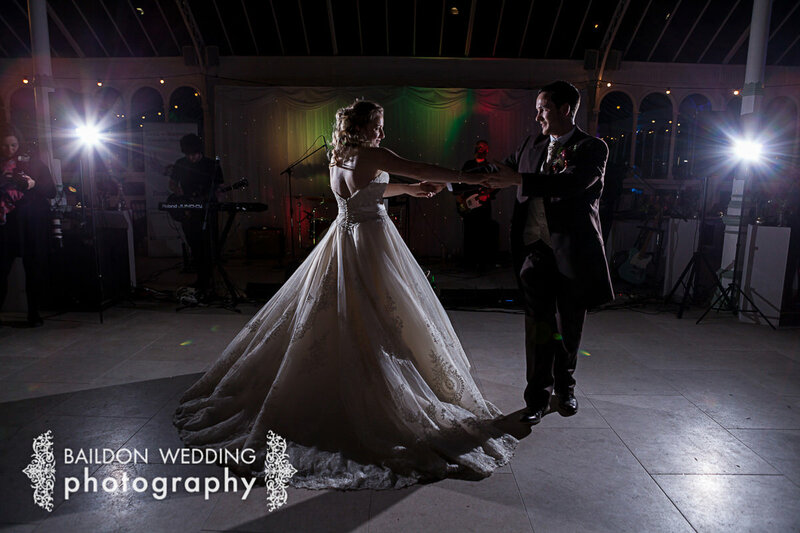 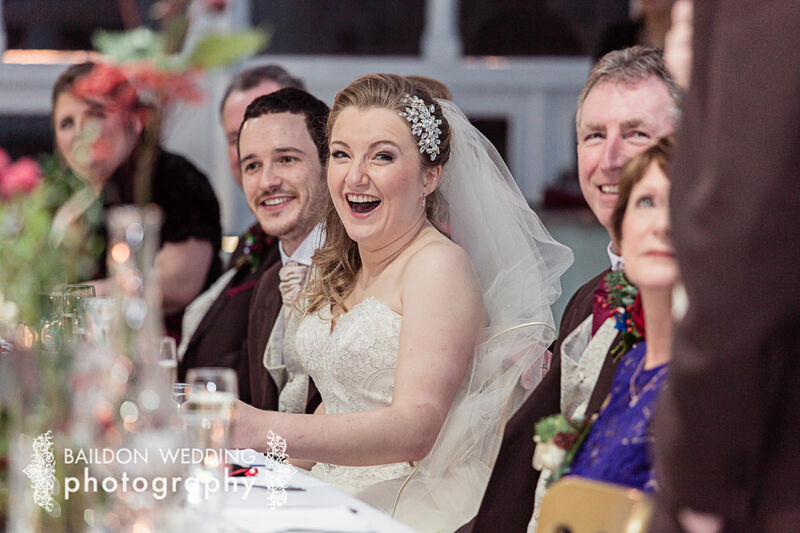 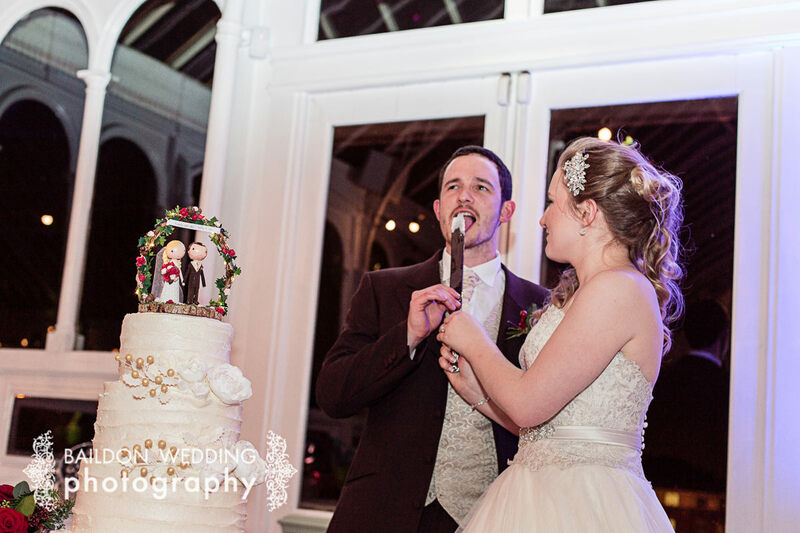 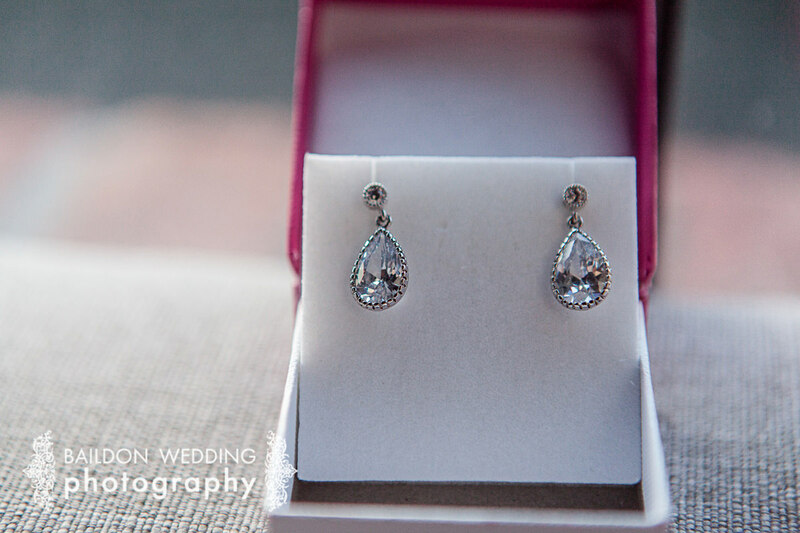 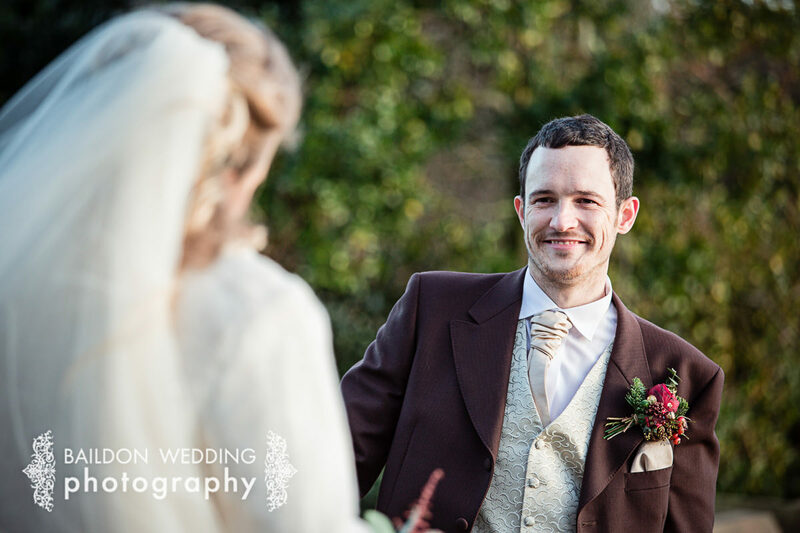 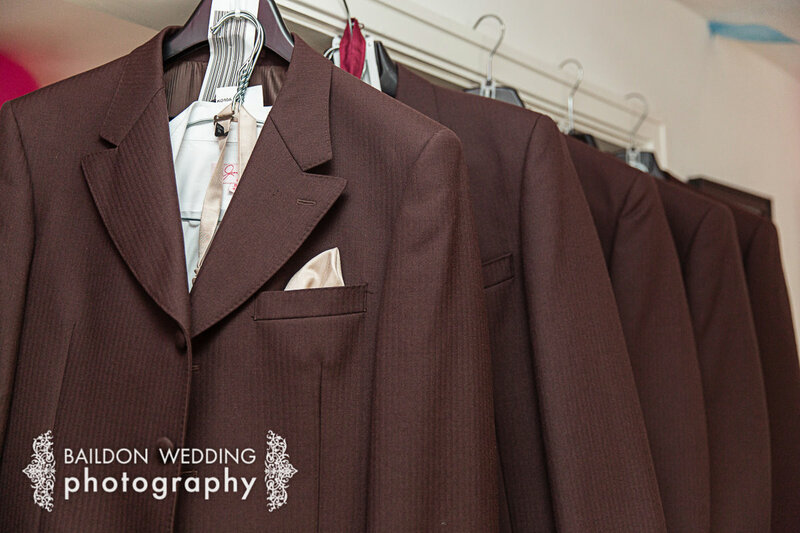 After meeting them both, I soon realised they were a super fun couple and knew their winter wedding would be fantastic. 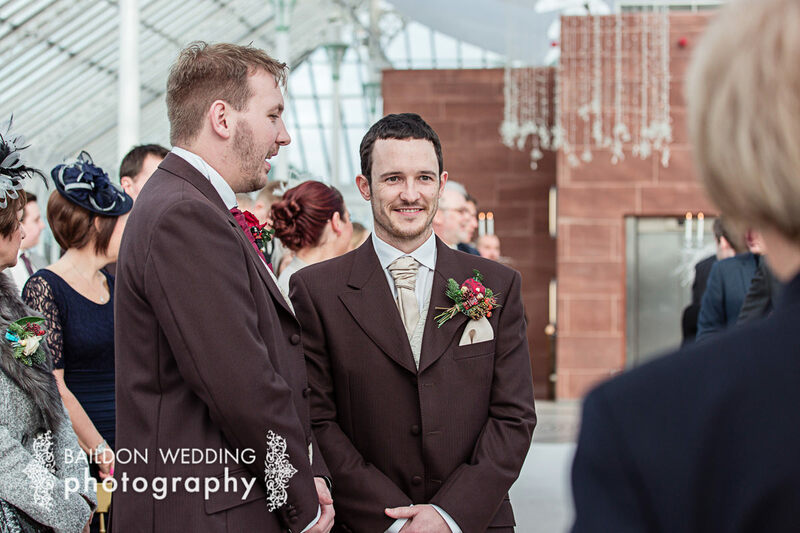 As this was my second visit to Liverpool ever, I was utterly blown away by the architecture in the Liverpool docks. 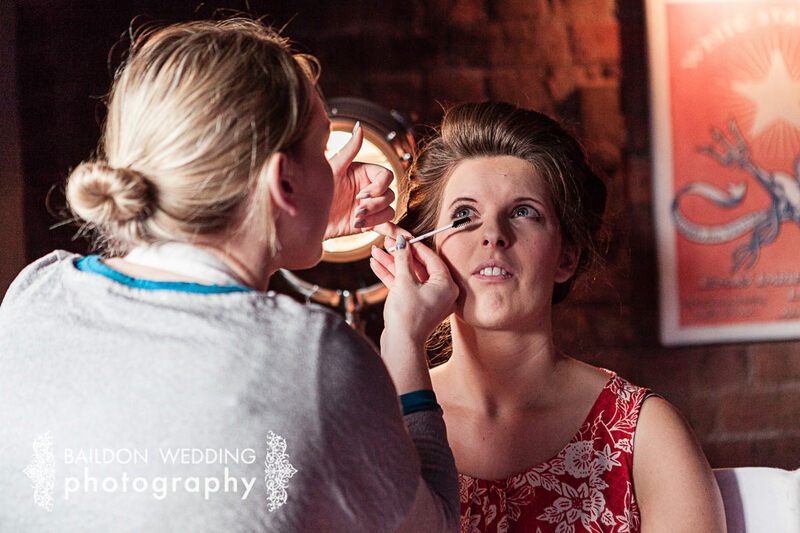 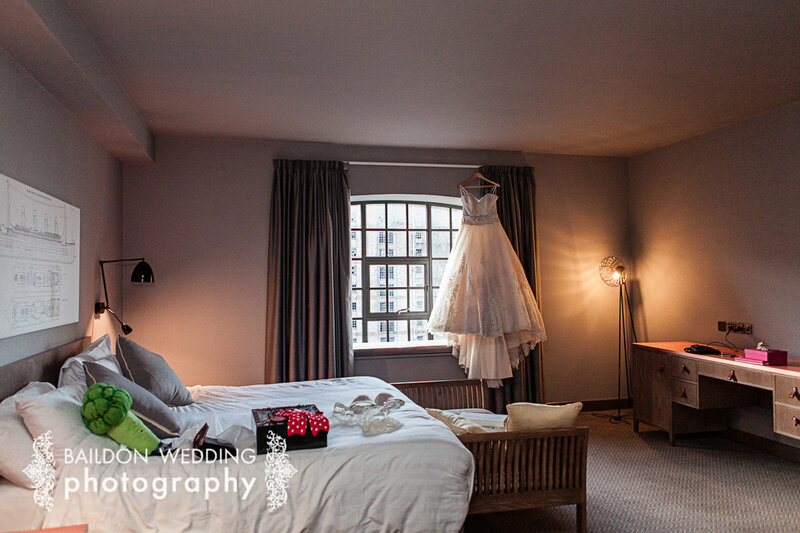 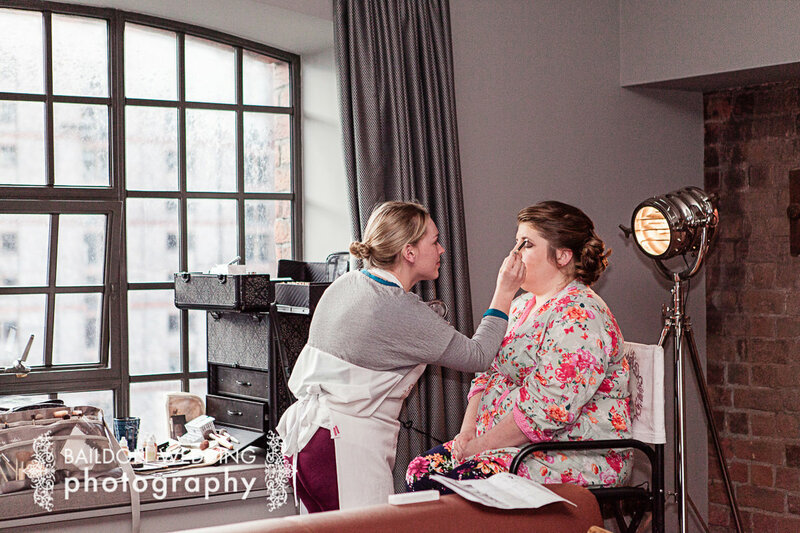 The Titanic hotel was a magnificent building, and the room in which Holly and her bridesmaids got ready was immense. 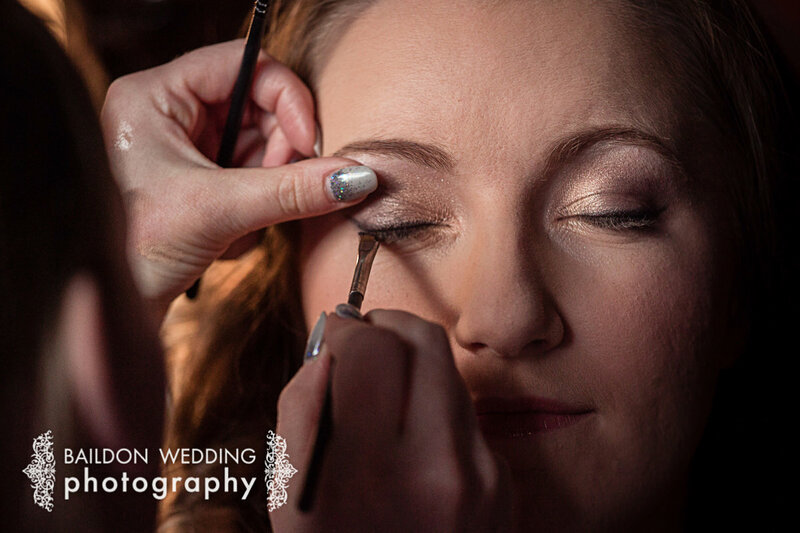 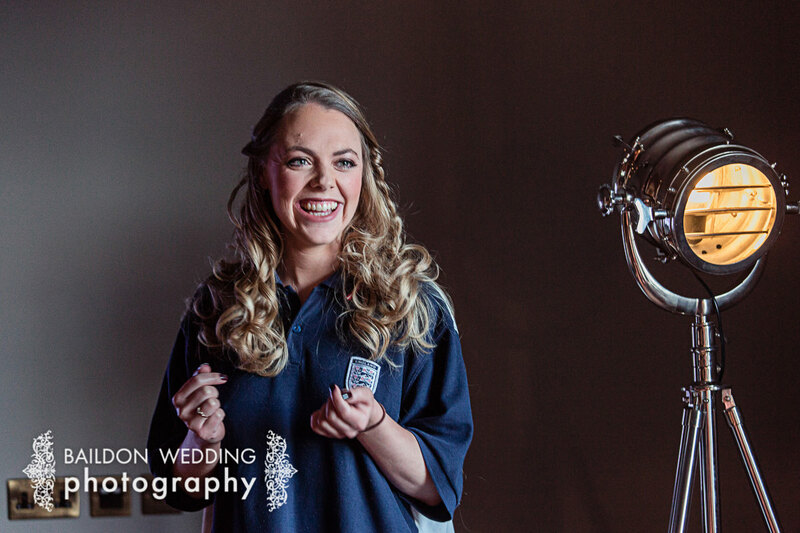 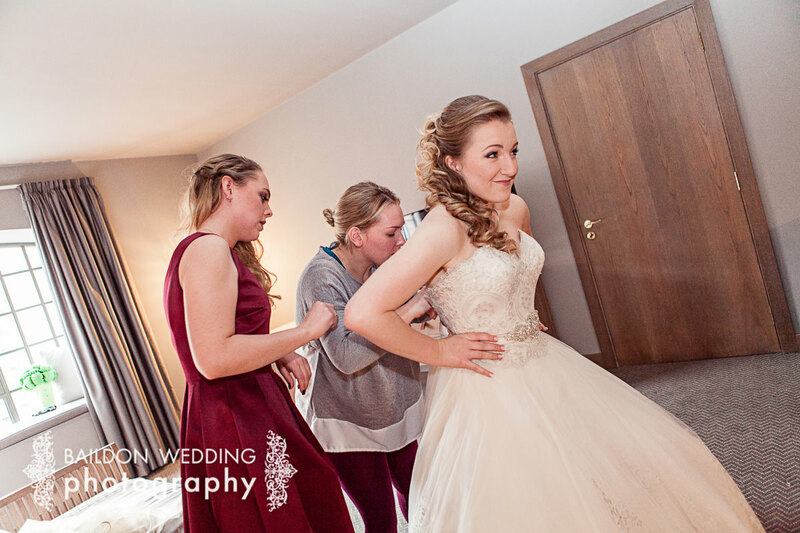 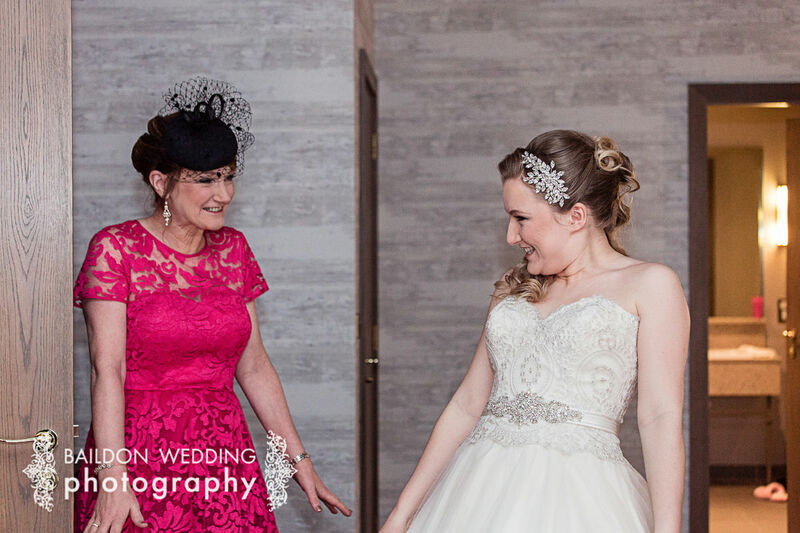 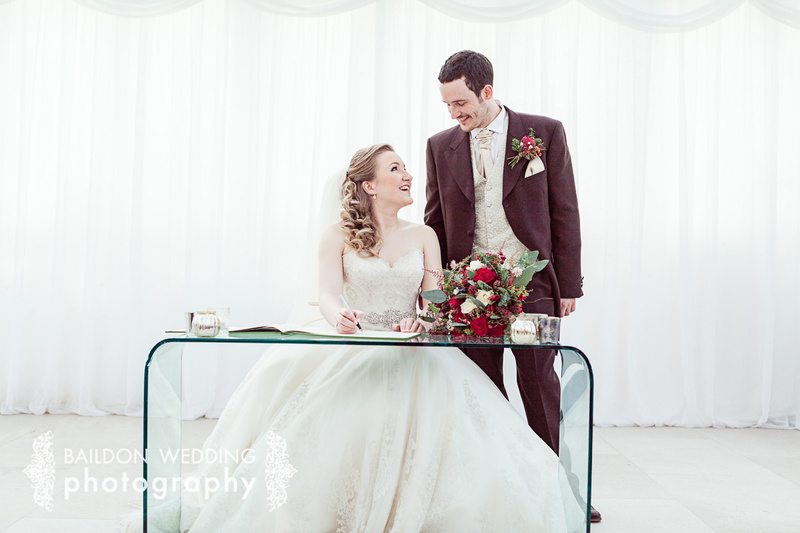 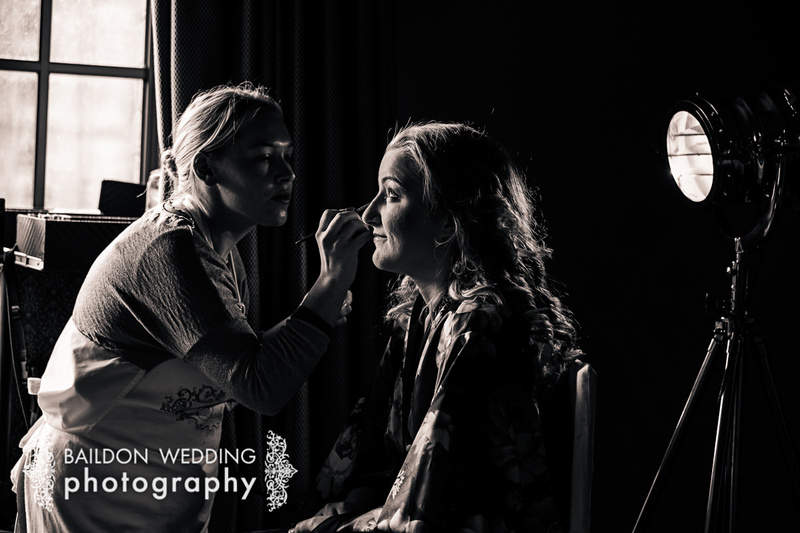 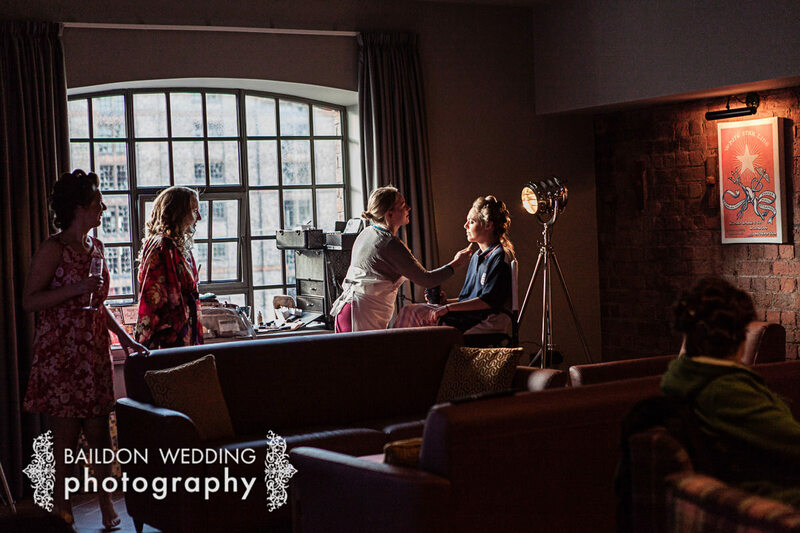 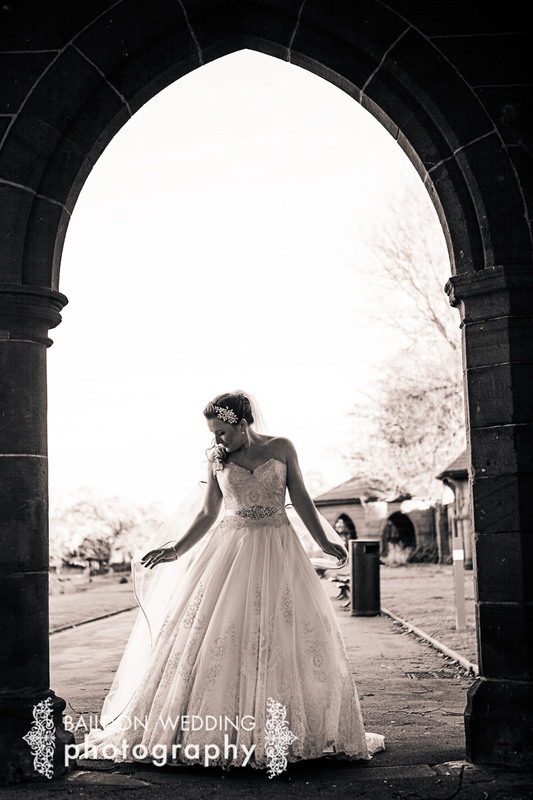 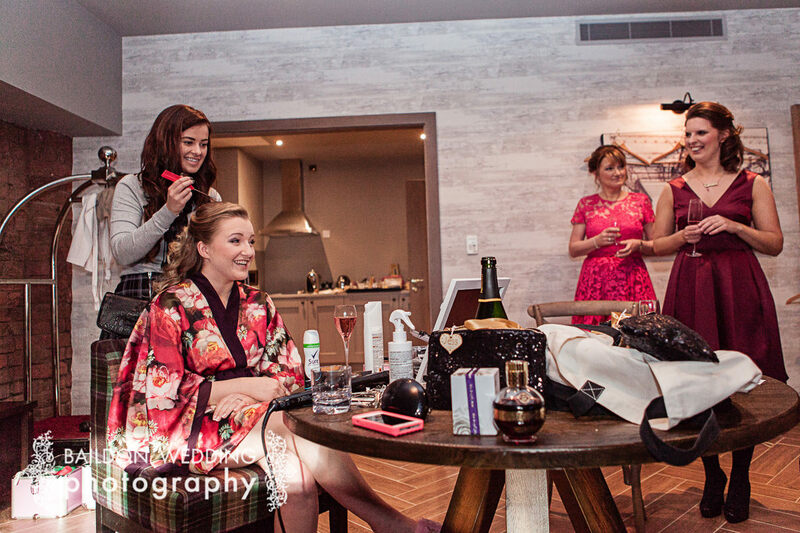 The fabulous Vicky and Anna from Bridal Hair and Makeup Of Cheshire were on hair and makeup and took full advantage of the panoramic windows for makeup lighting. 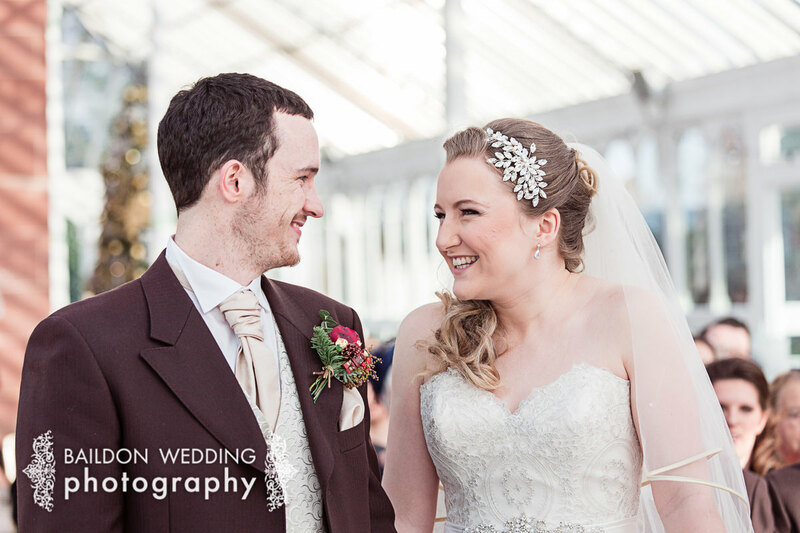 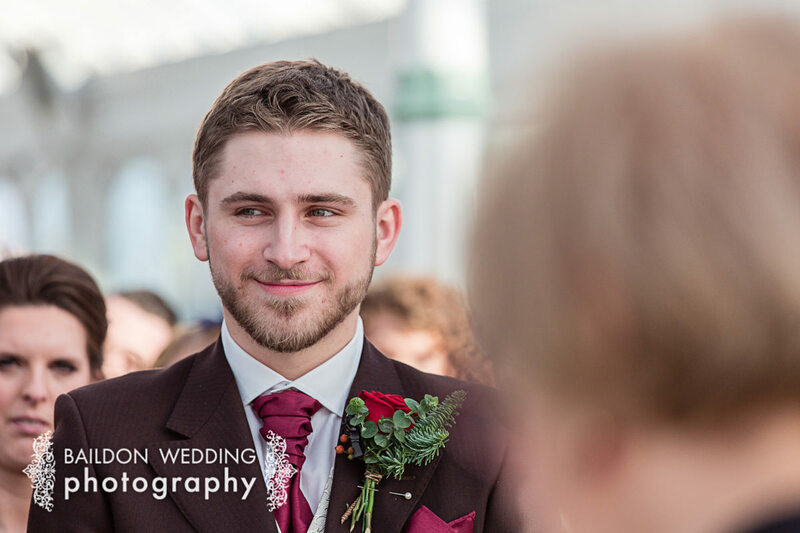 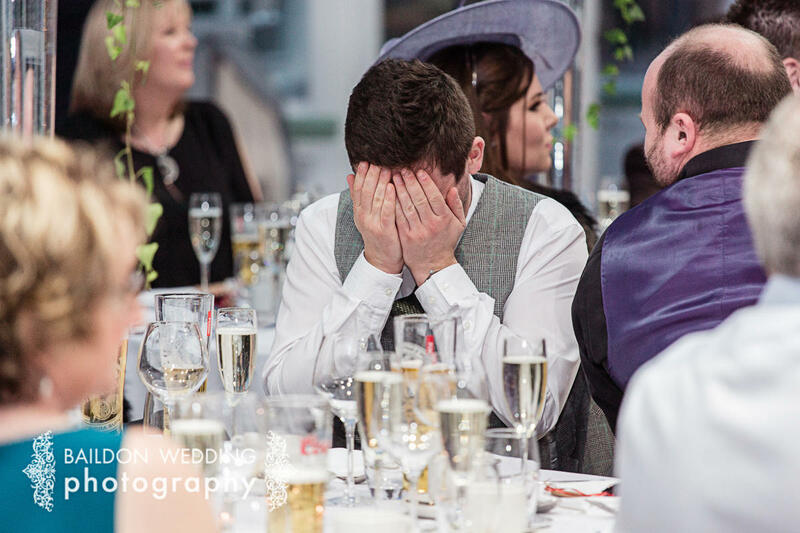 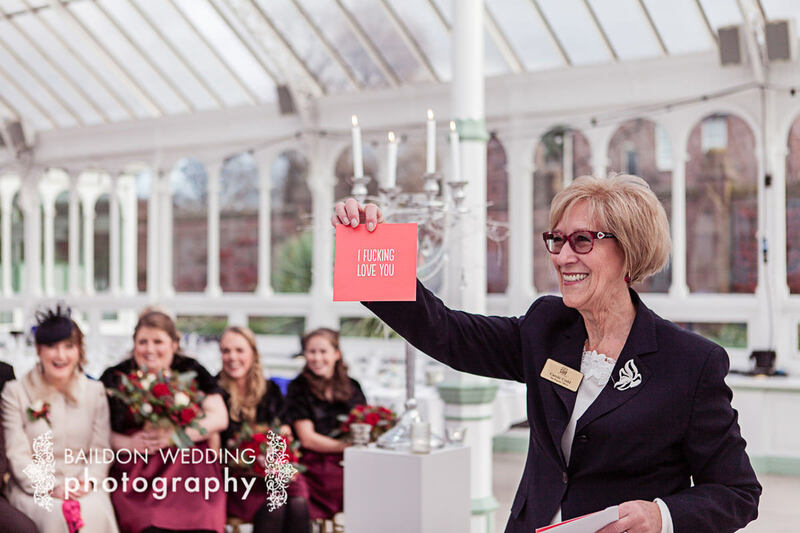 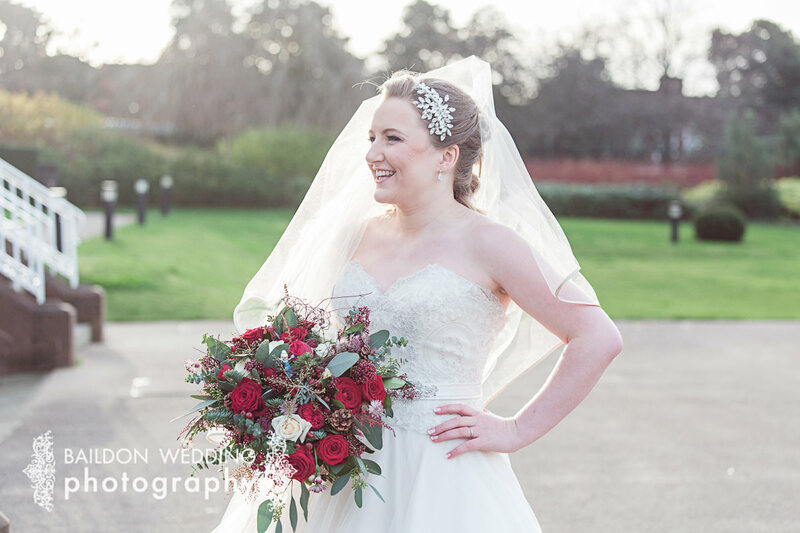 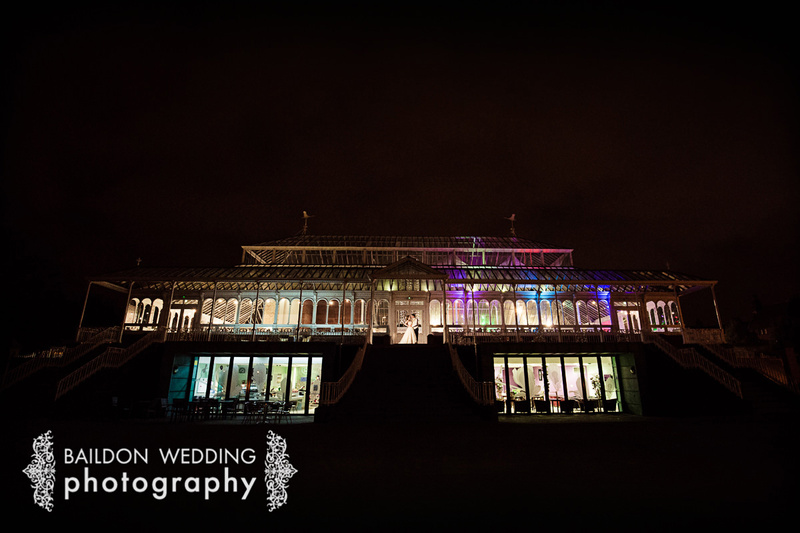 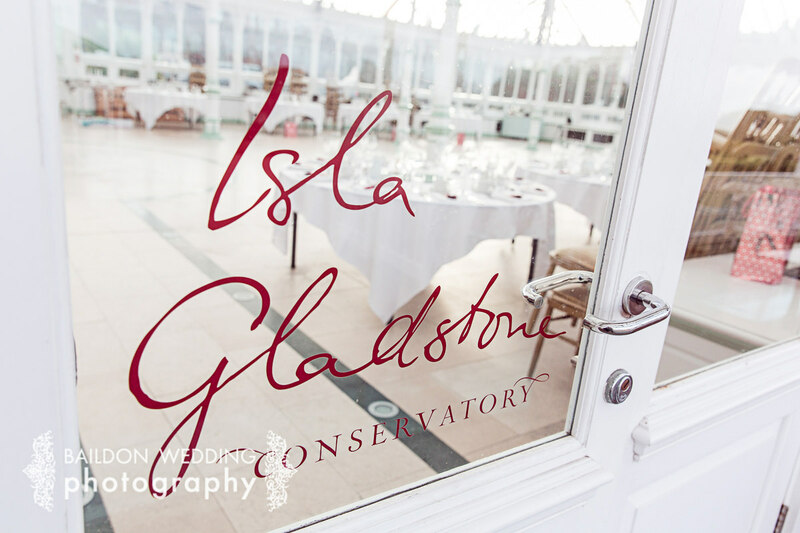 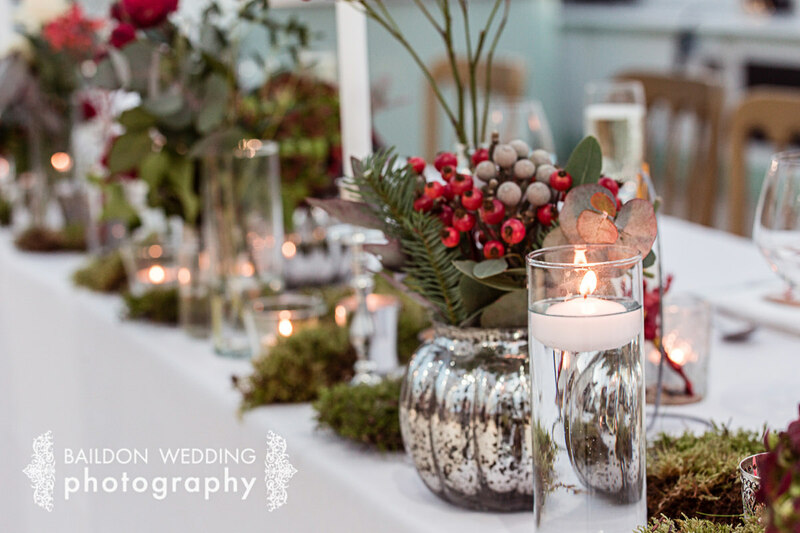 The venue for Holly and Melv’s ceremony and reception was the Isla Gladstone conservatory, a fantastic light and bright wedding venue set in the extensive grounds of Stanley Park, providing a spectacular backdrop, albeit a very chilly one! 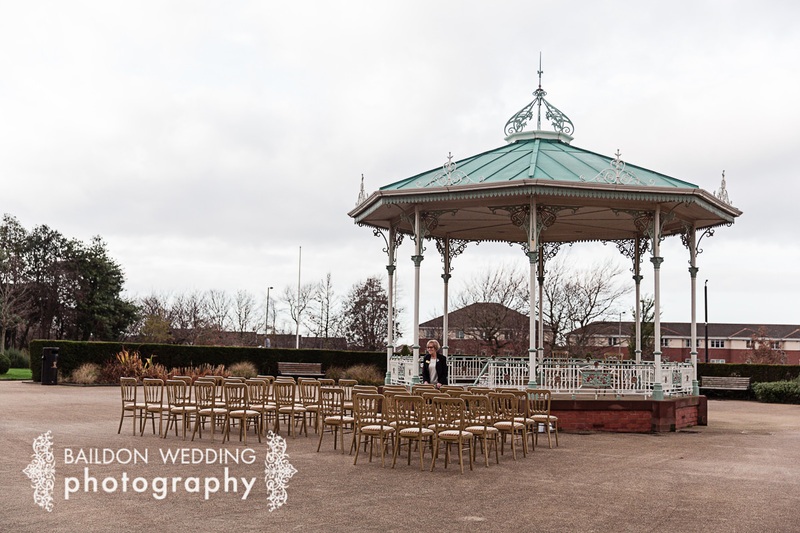 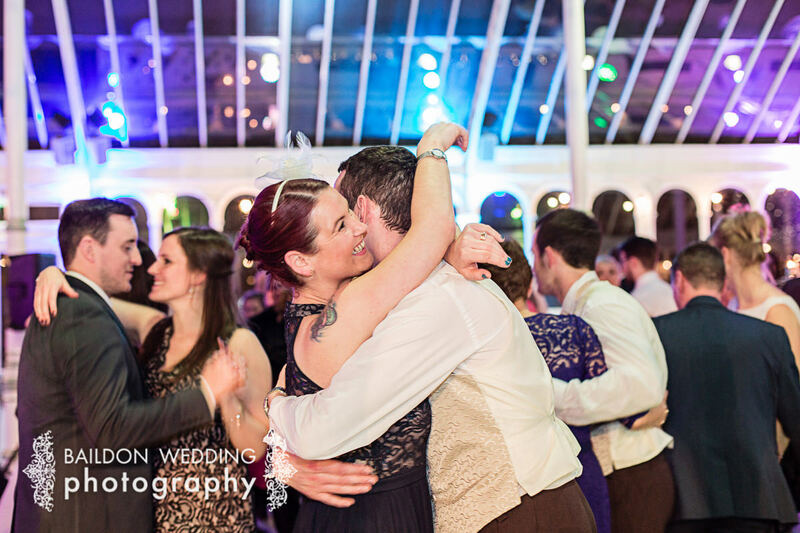 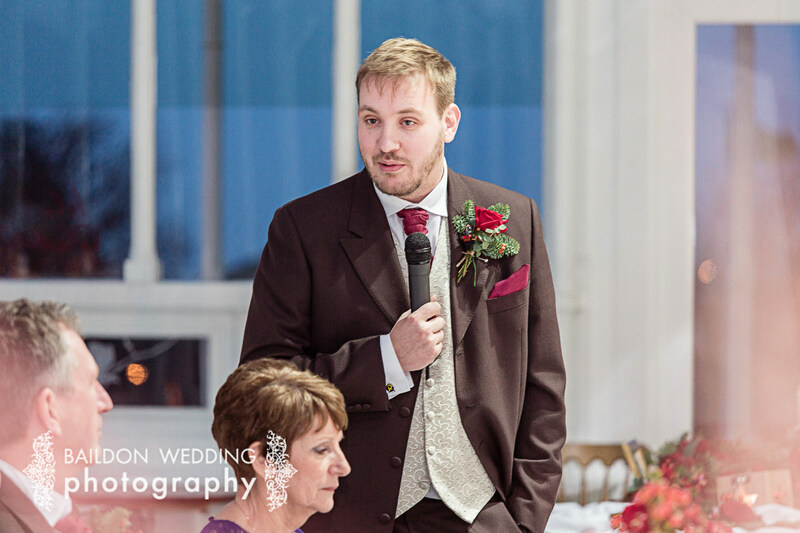 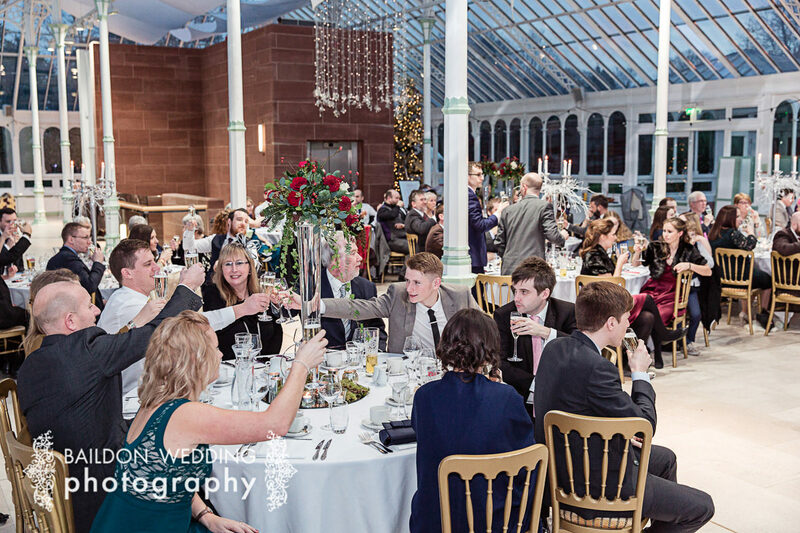 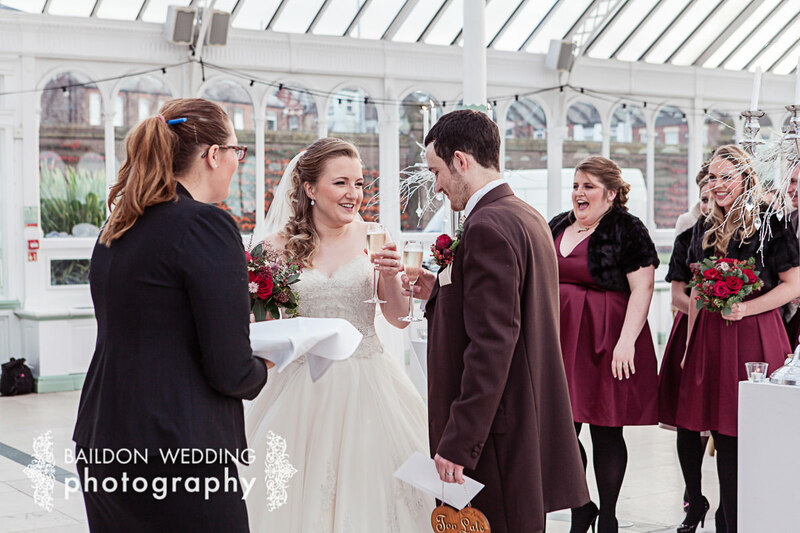 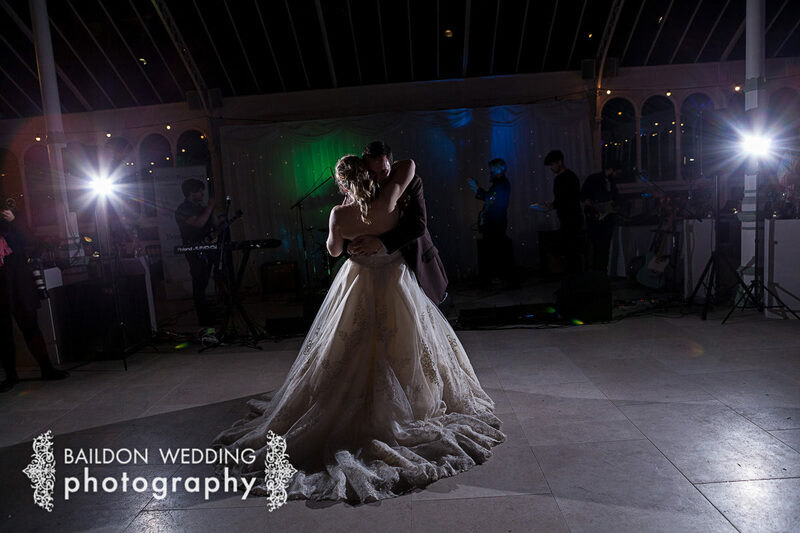 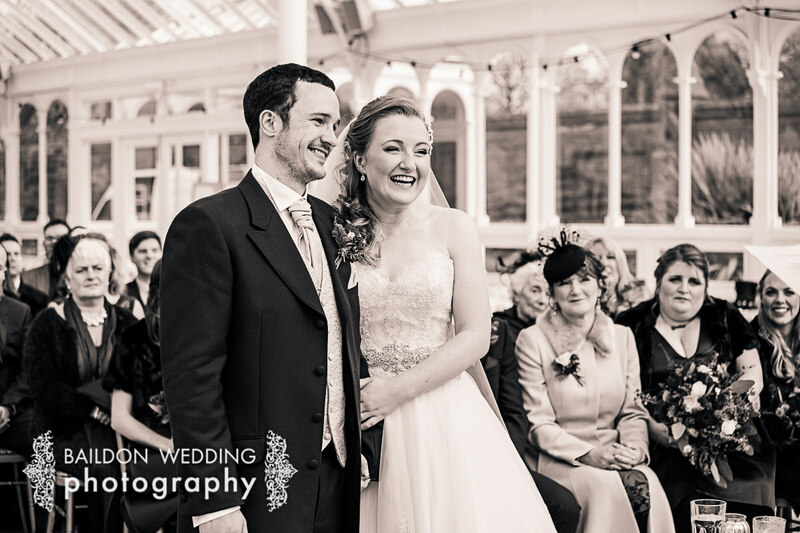 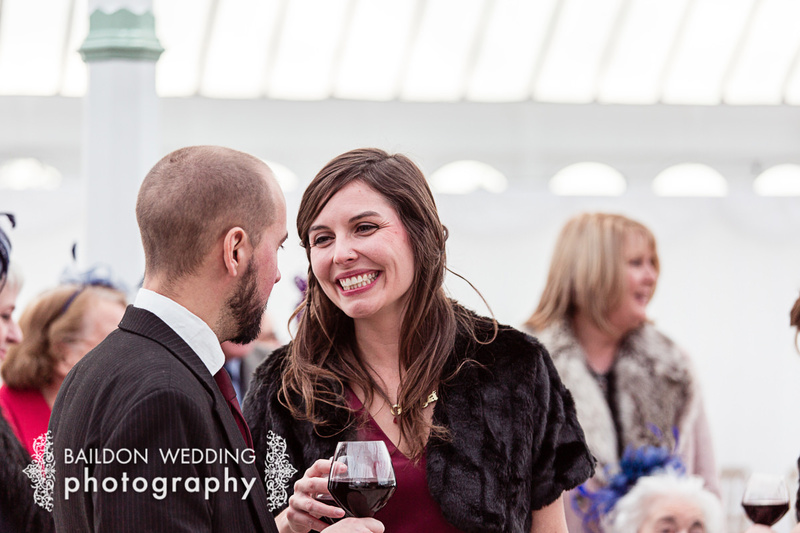 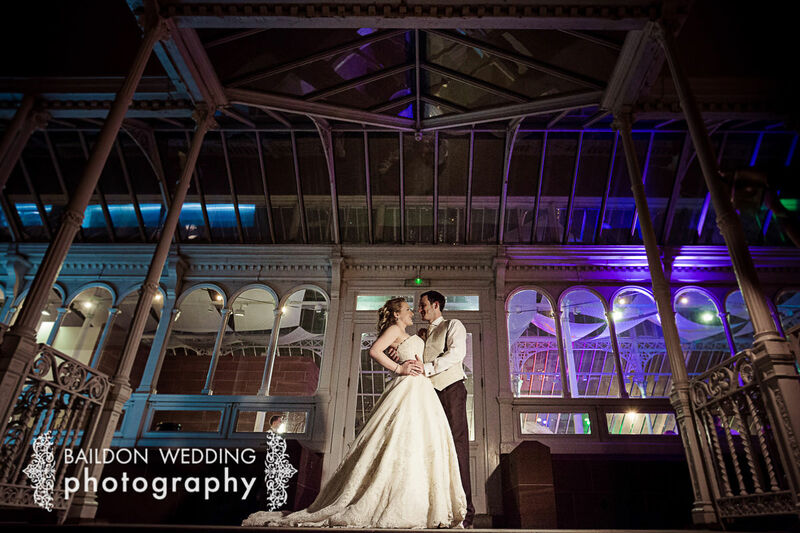 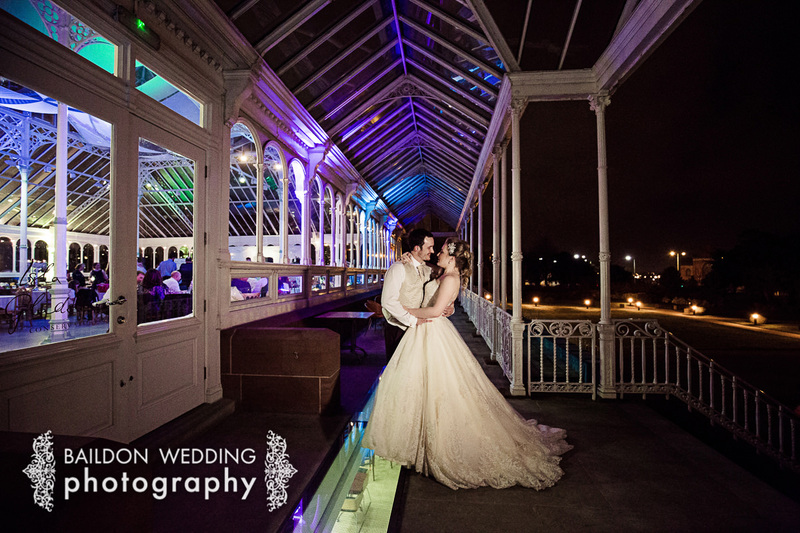 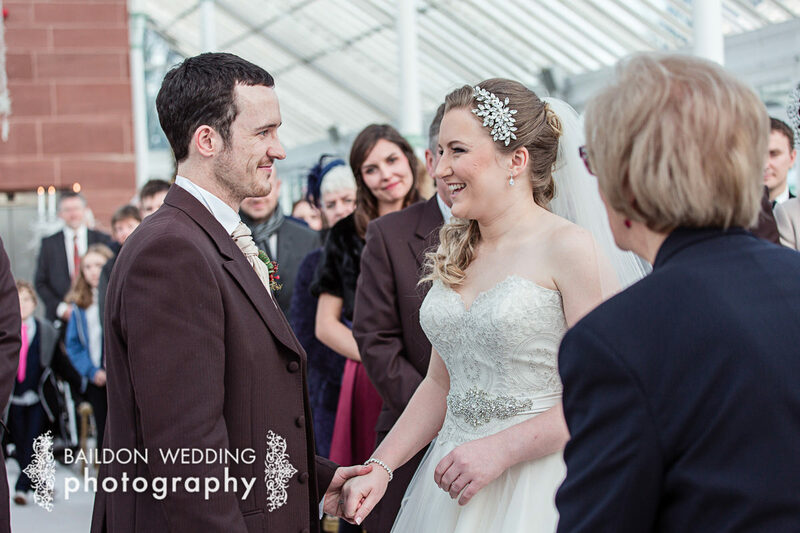 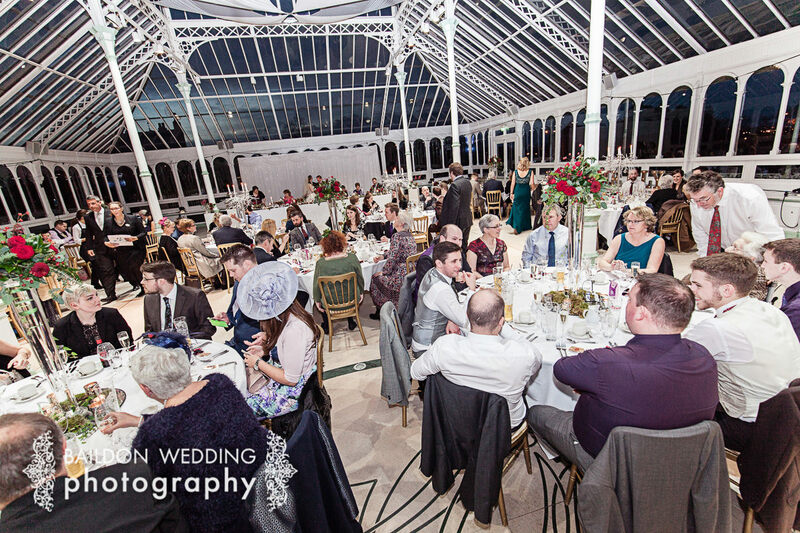 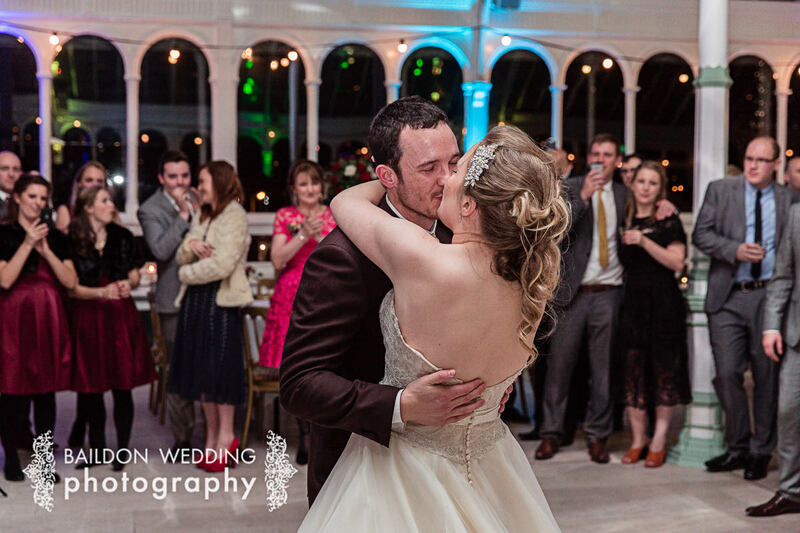 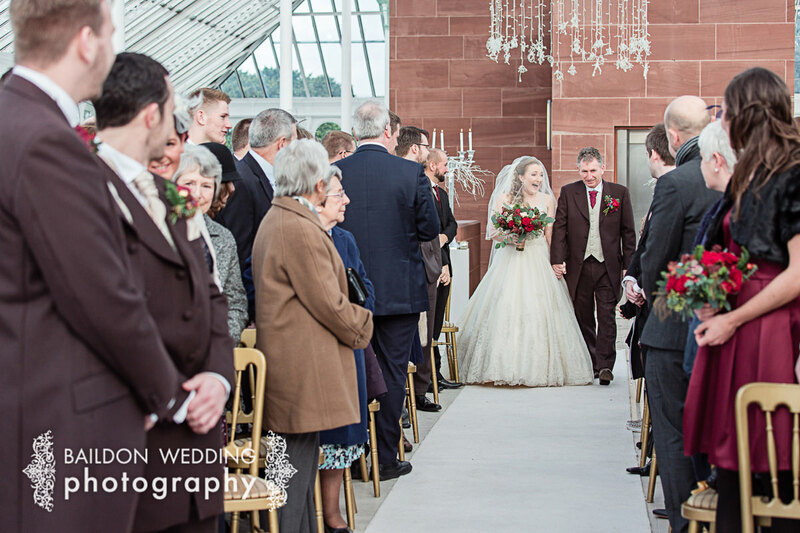 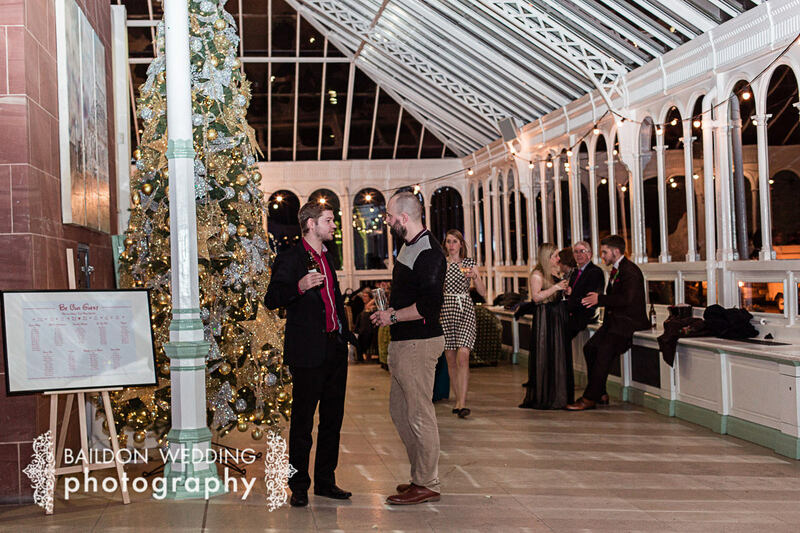 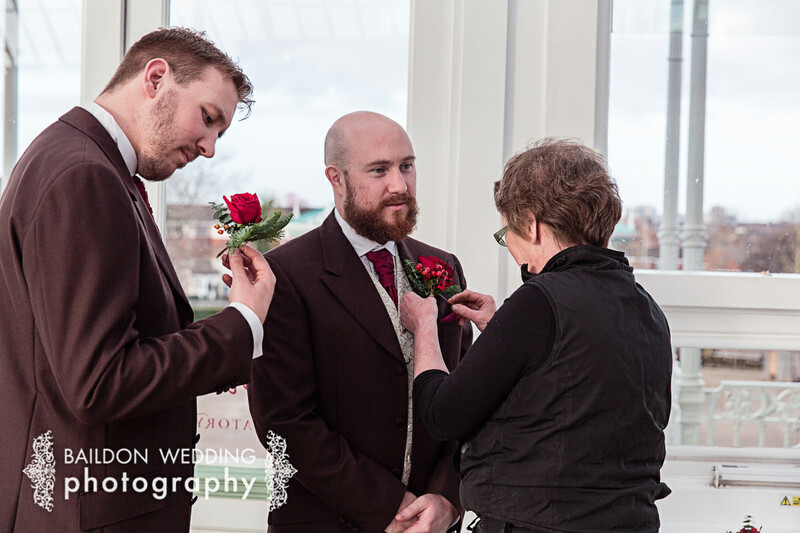 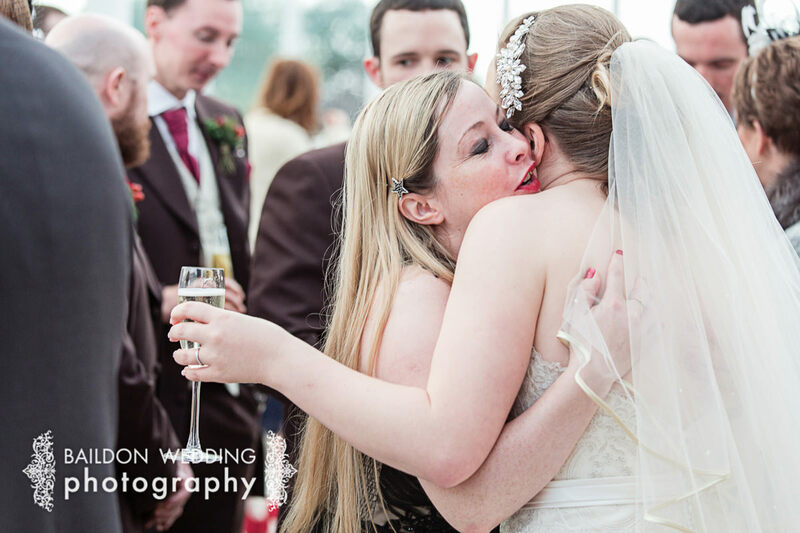 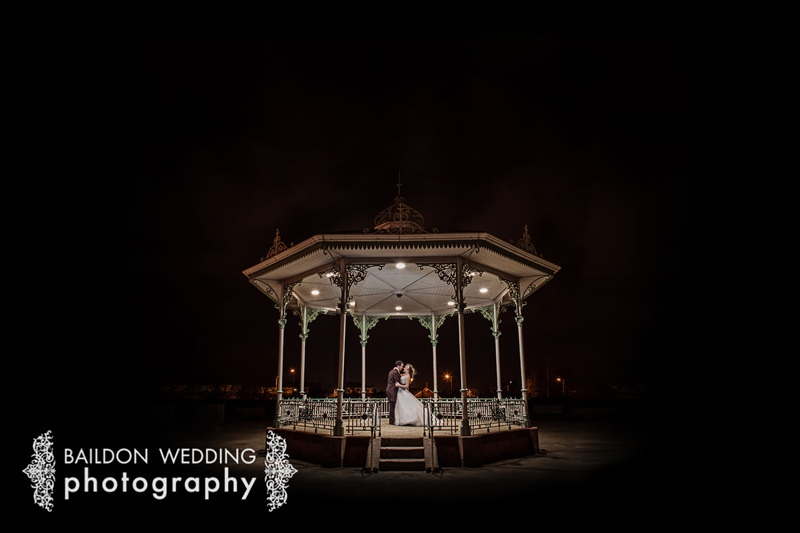 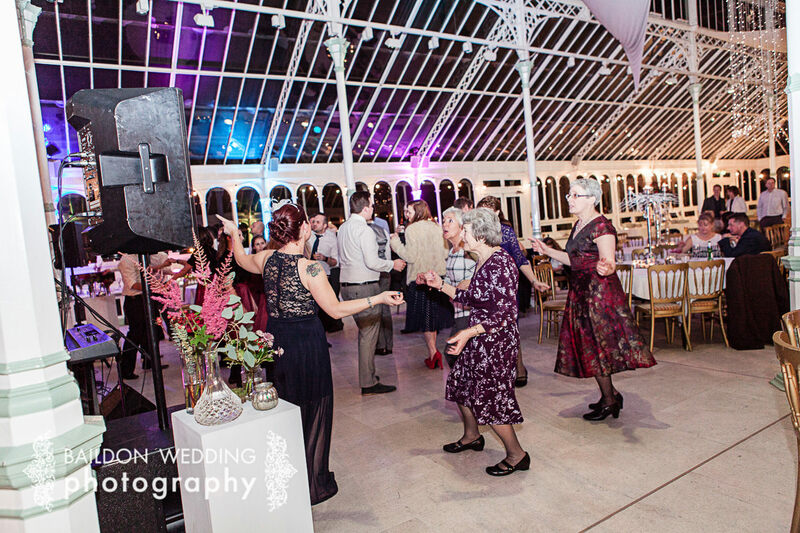 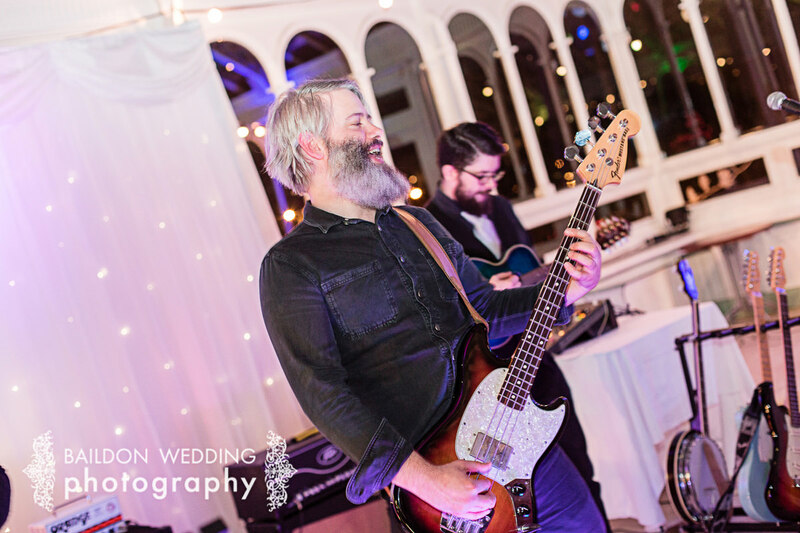 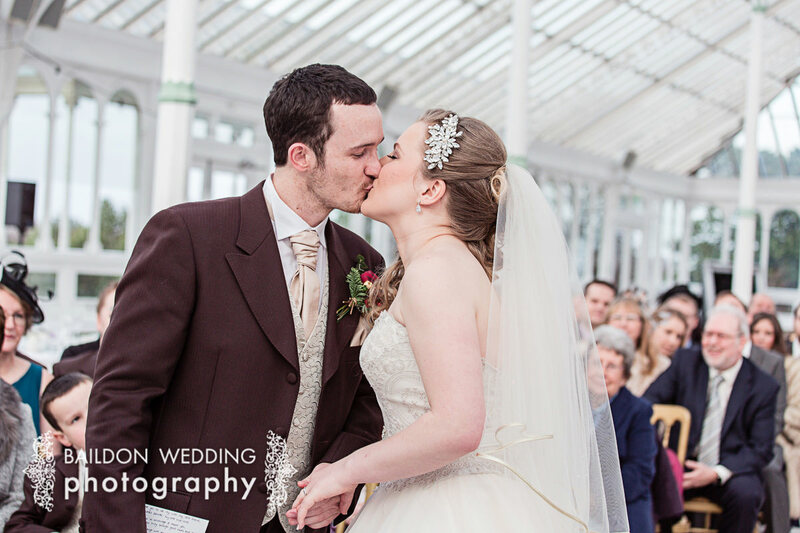 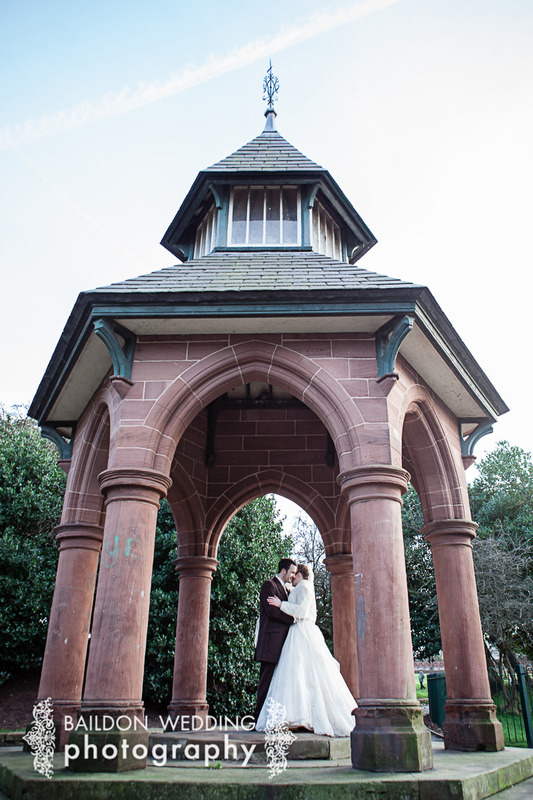 The ceremony was due to take place outside, utilising the bandstand, due to the chilly temperatures this changed and it would take place inside the vast conservatory building. 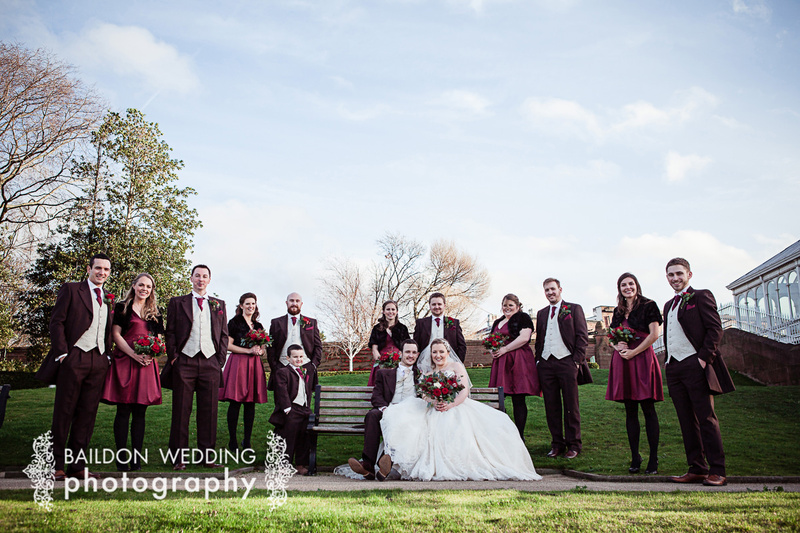 After the exchange of vows, guests enjoyed warming mulled wine, and we tackled the group shots followed by the couple shots. 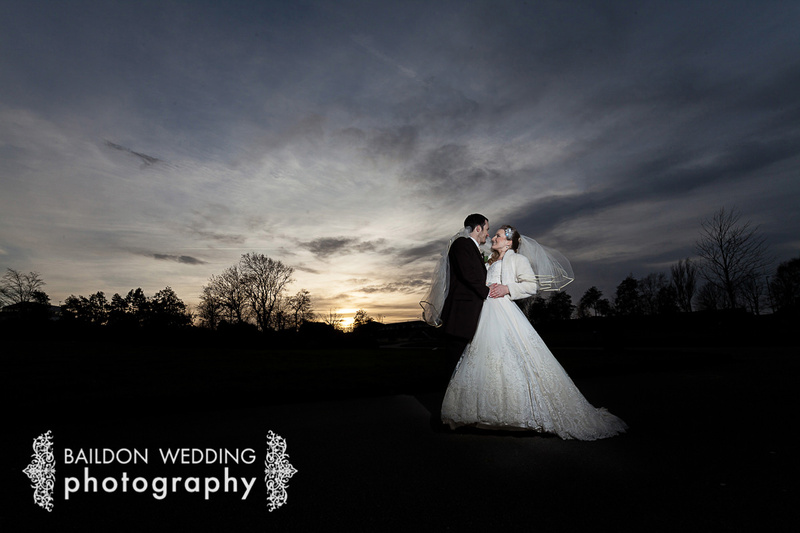 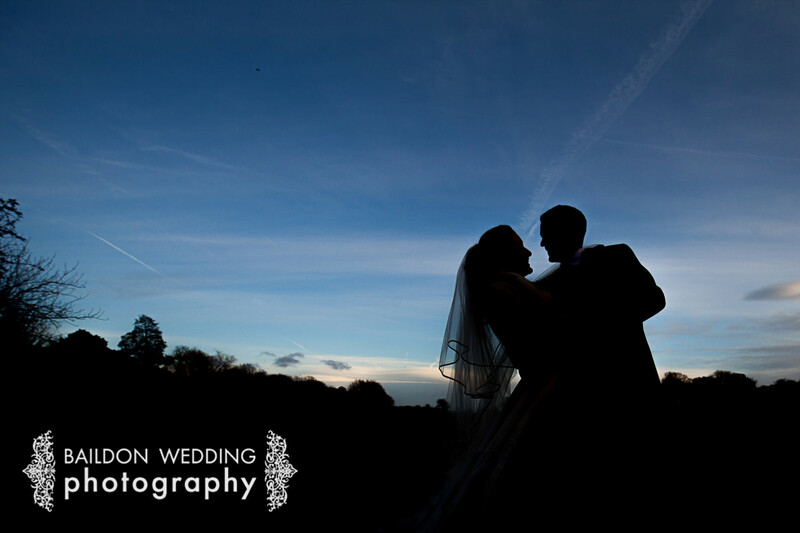 We caught the last of the light exploring the gardens, lake and historic sandstone pavilions as the sun set for couple pictures before heading indoors to warm up and prepare for the speeches and wedding breakfast. 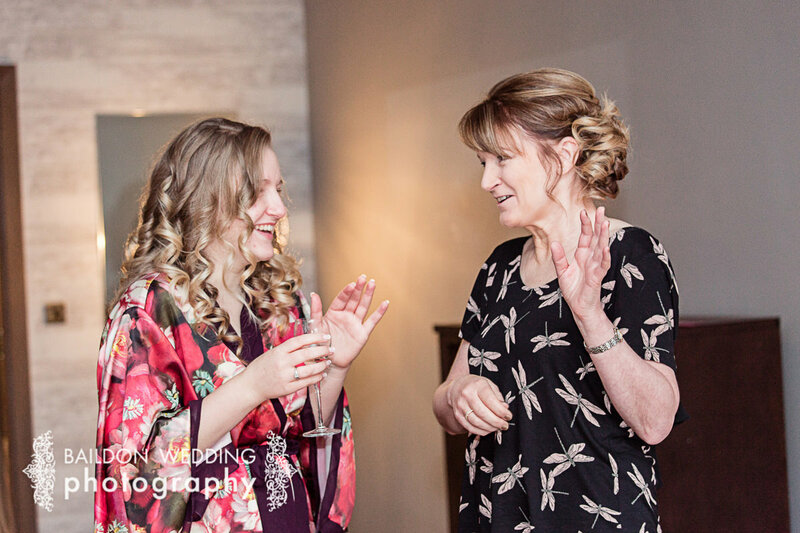 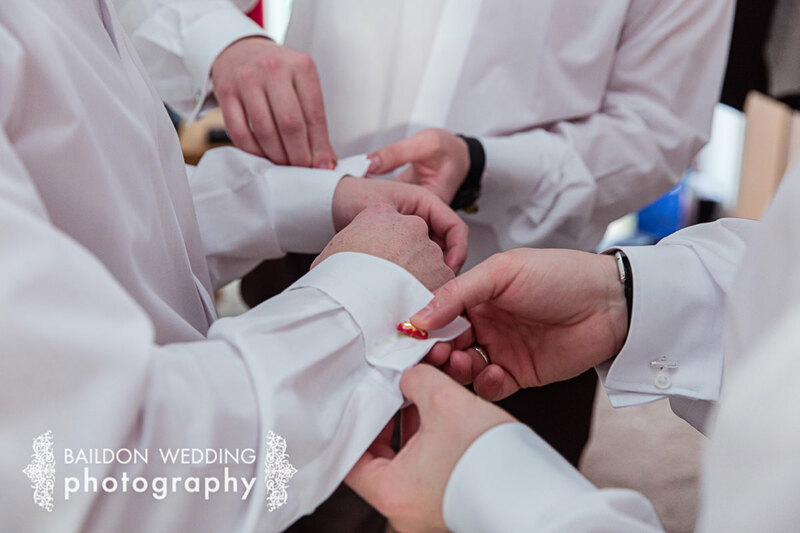 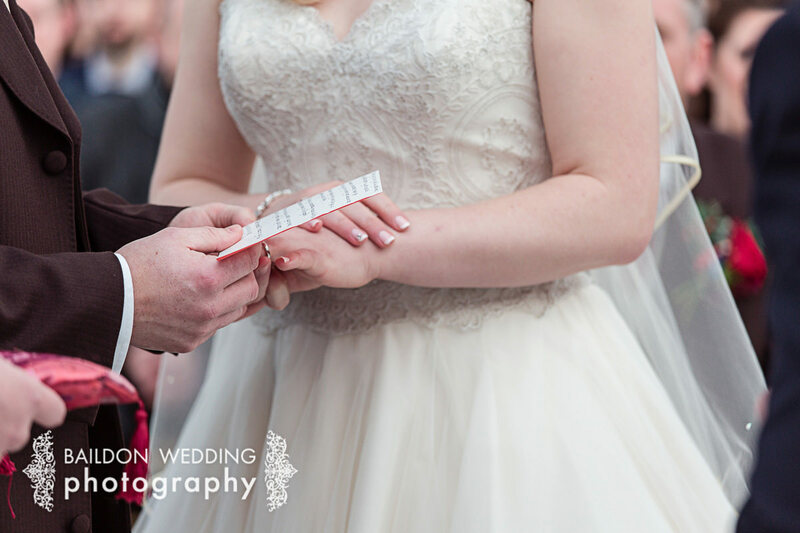 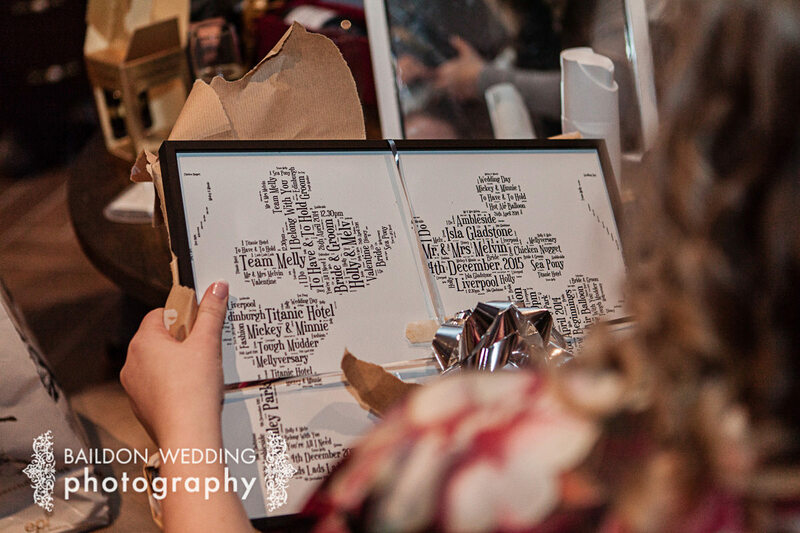 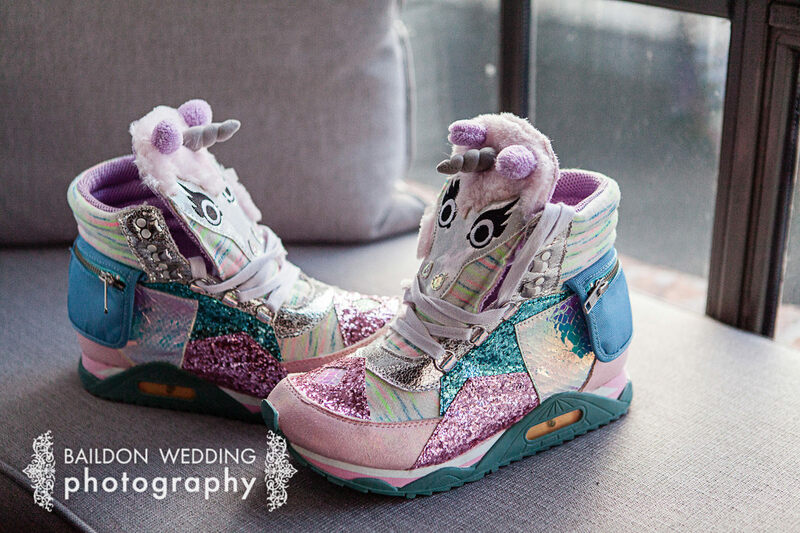 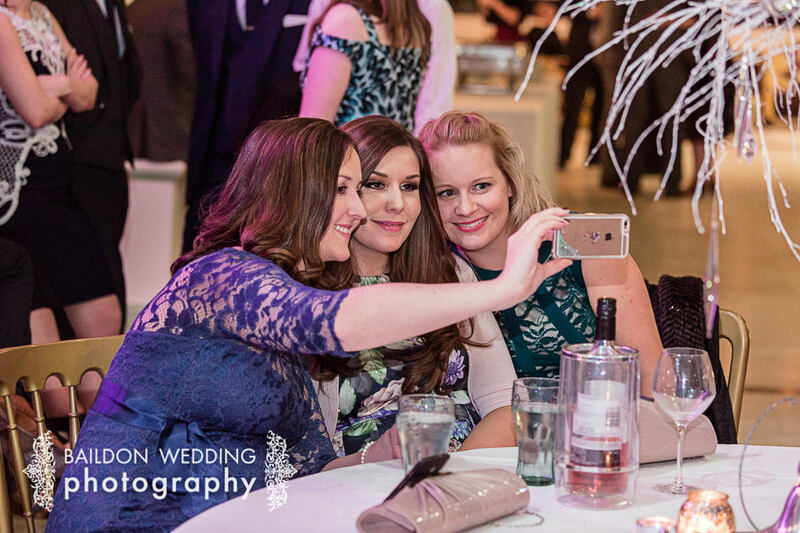 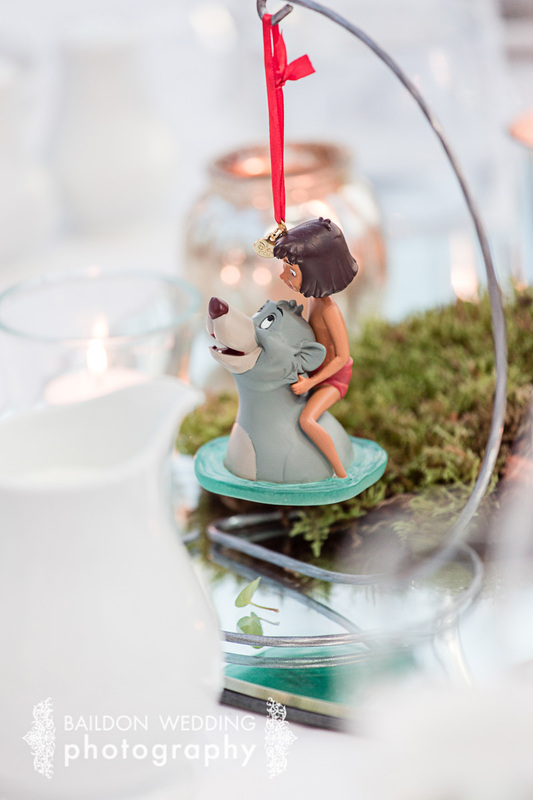 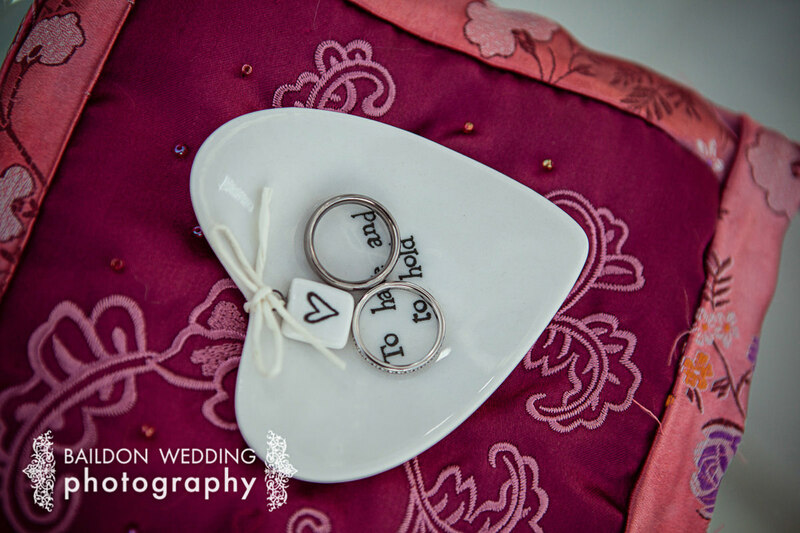 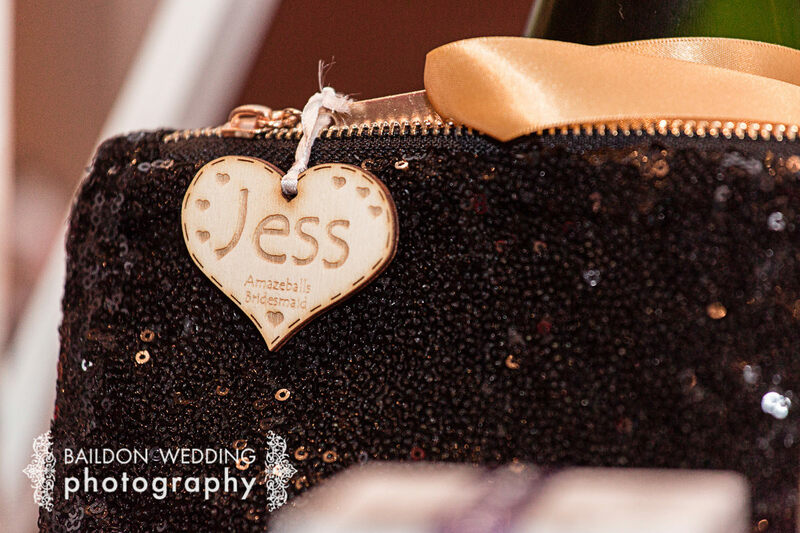 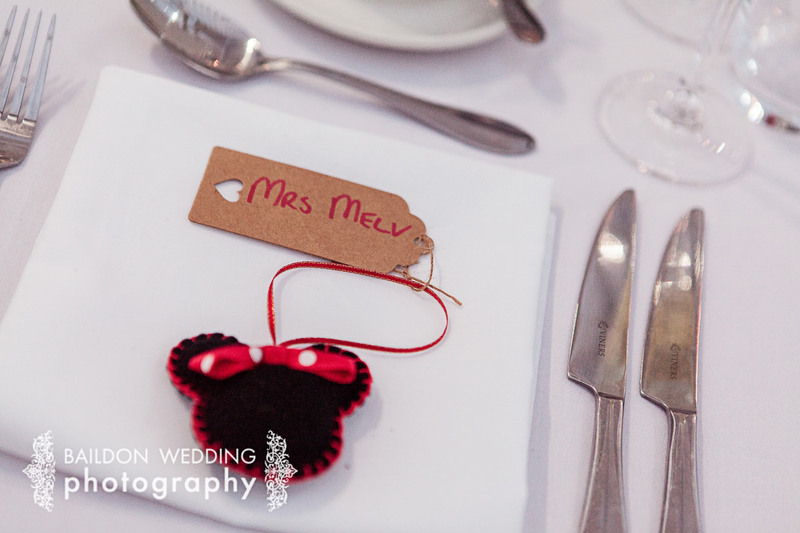 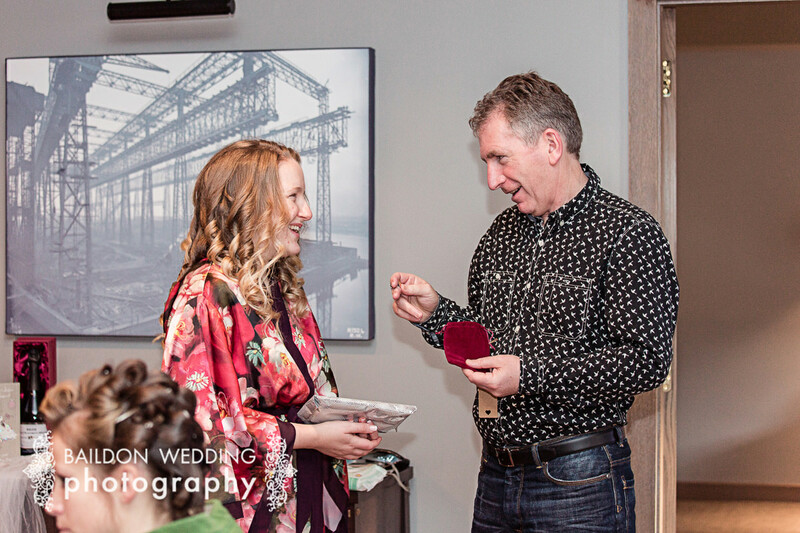 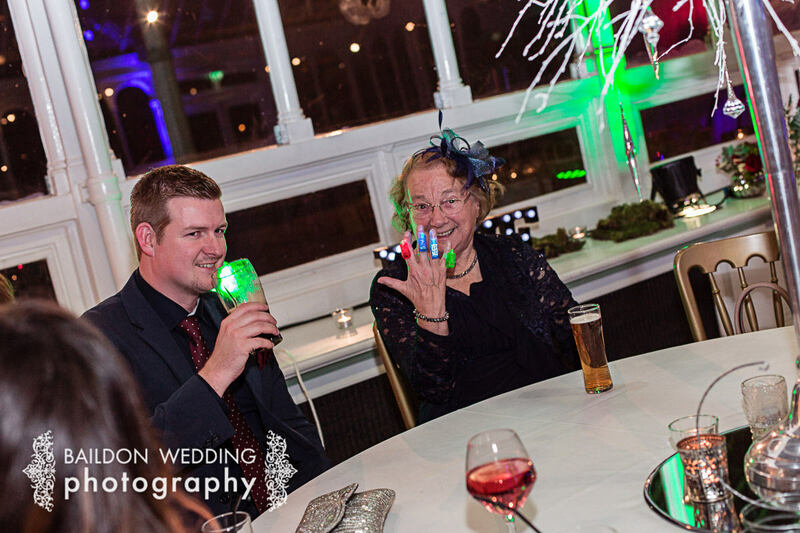 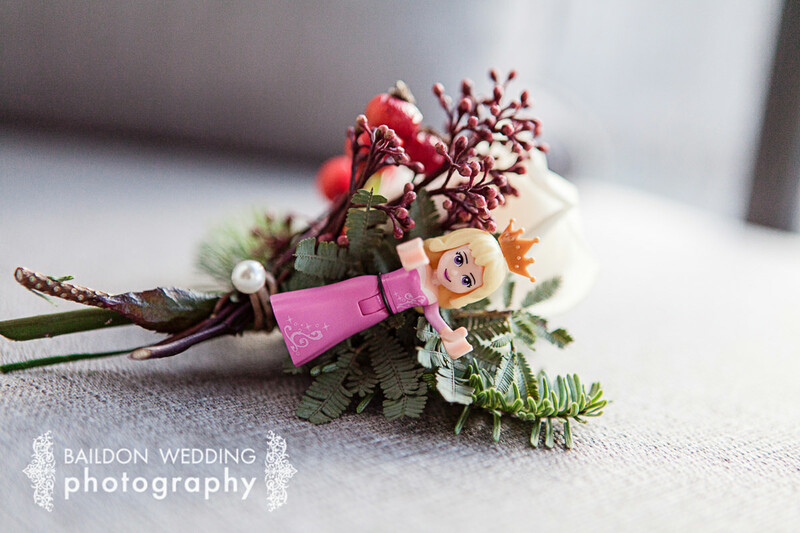 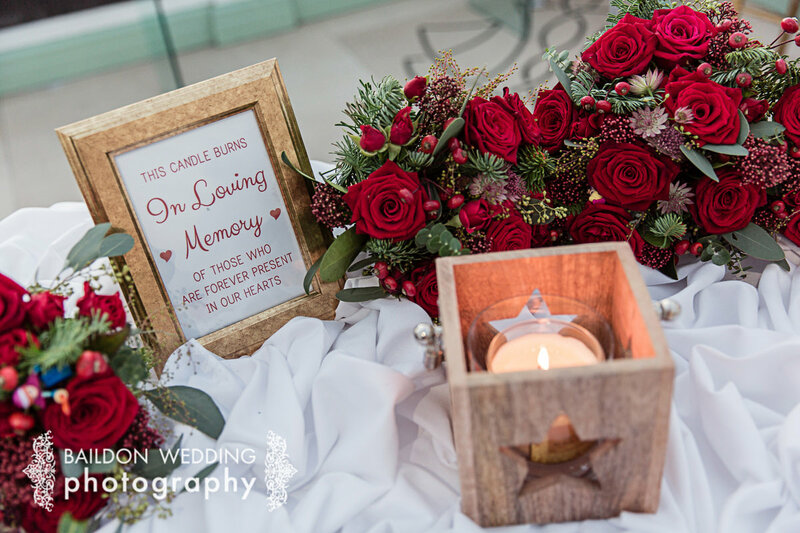 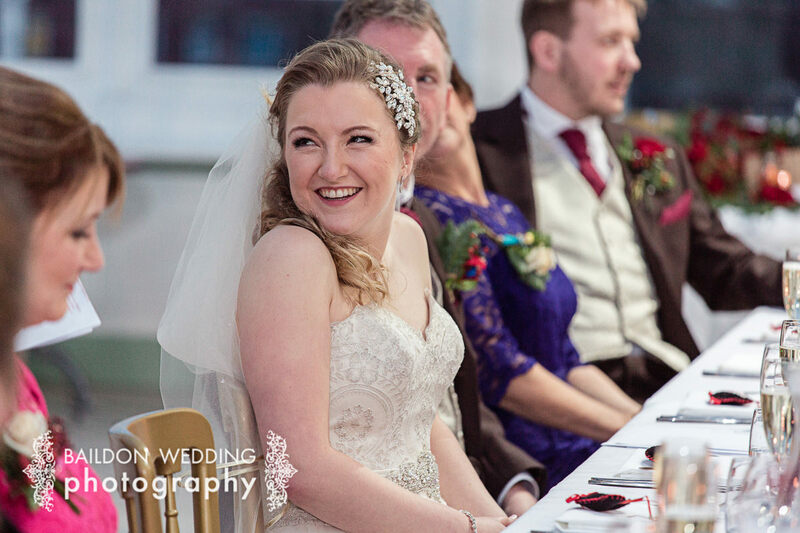 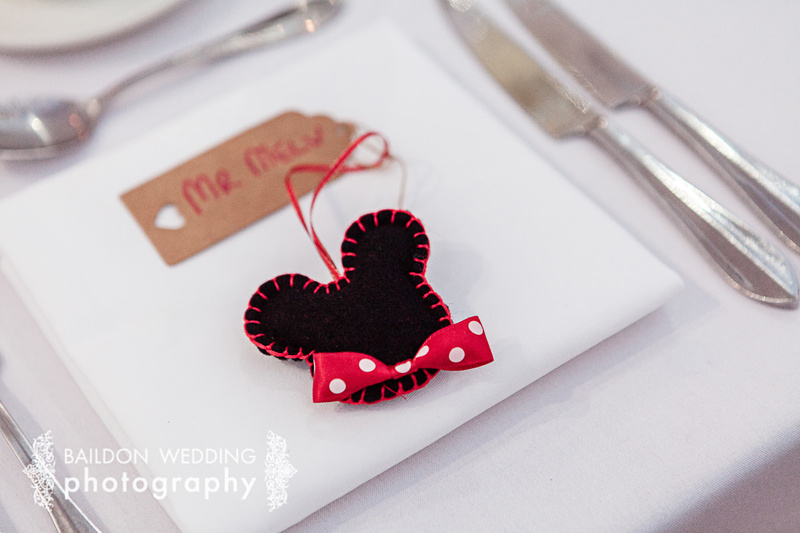 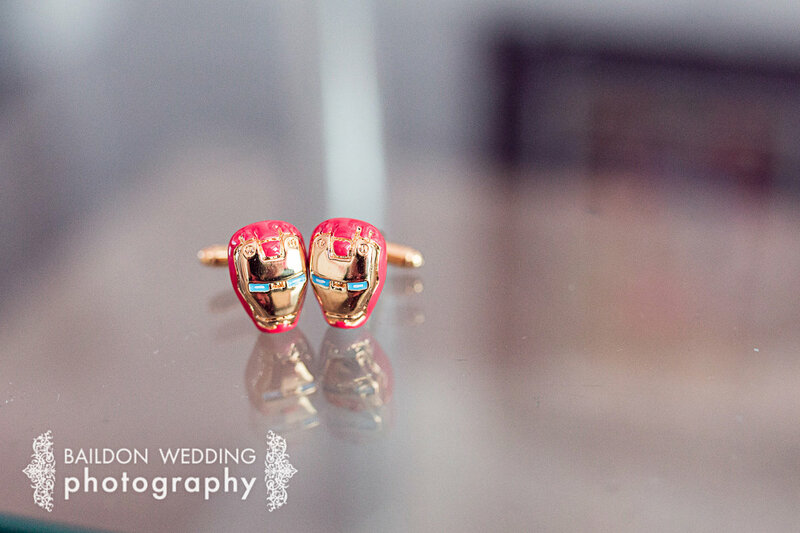 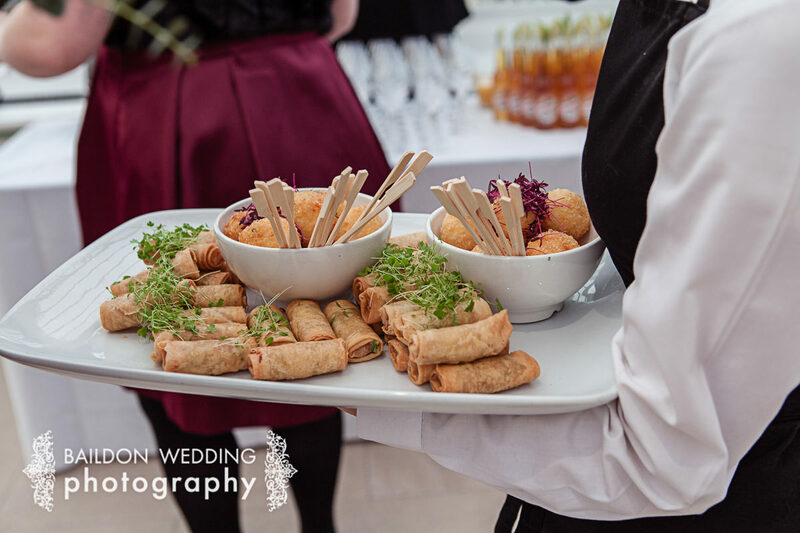 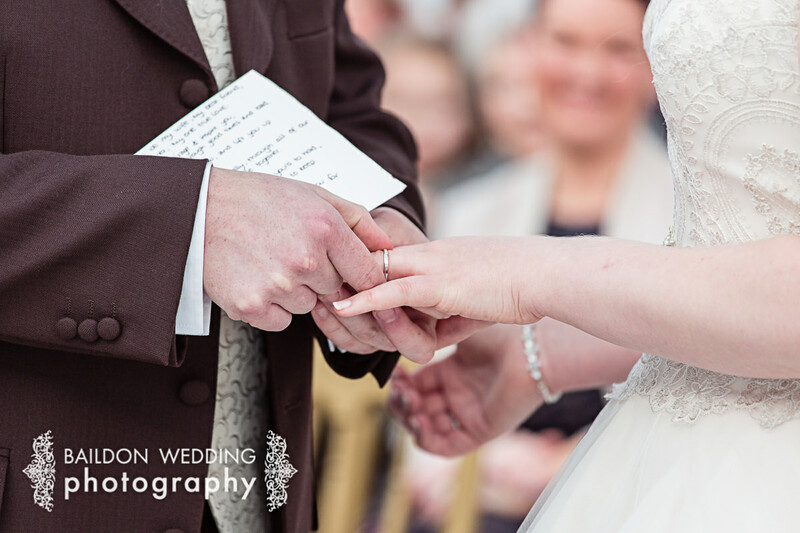 Holly and Melv included lots of Disney details in their wedding, from Holly’s nails to the wedding favours and table decorations as well as a gift from the bridesmaids to the newlyweds. 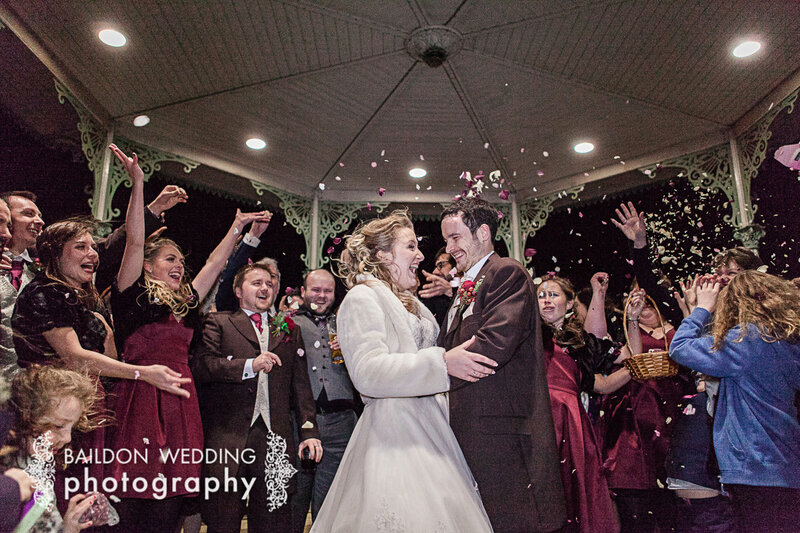 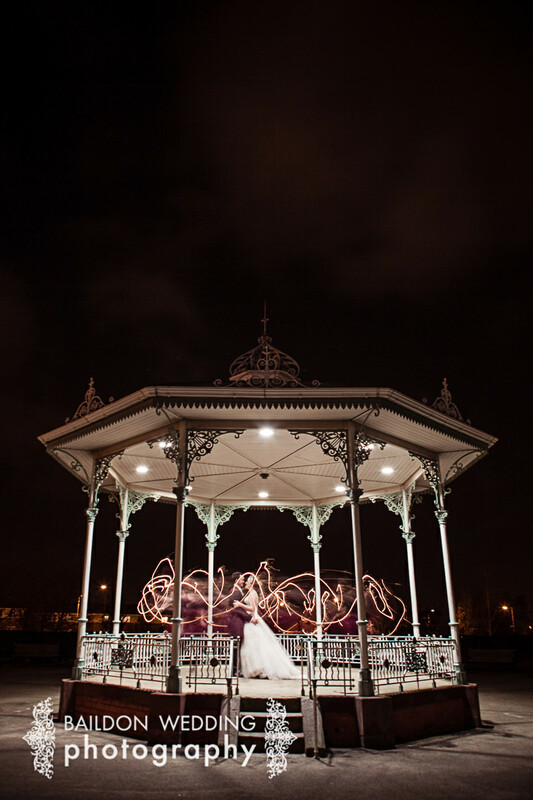 Holly and Melv wanted some pictures in the bandstand after dark with the aid of sparklers and bridesmaids! 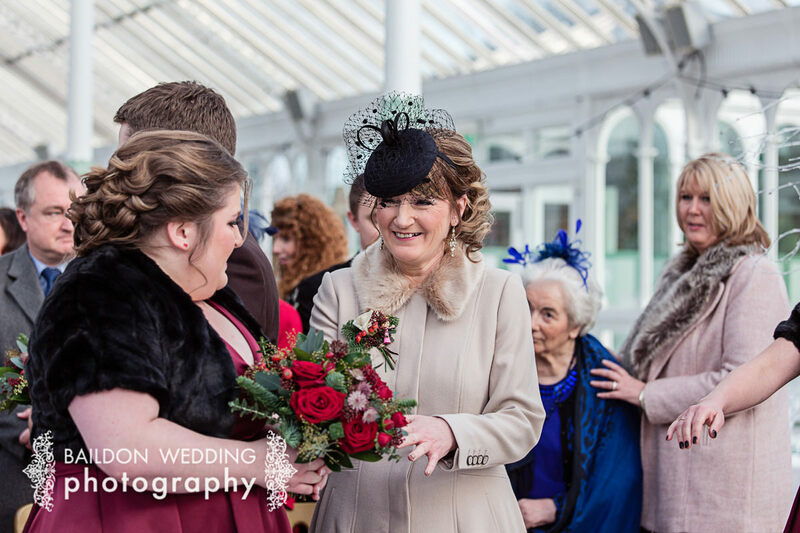 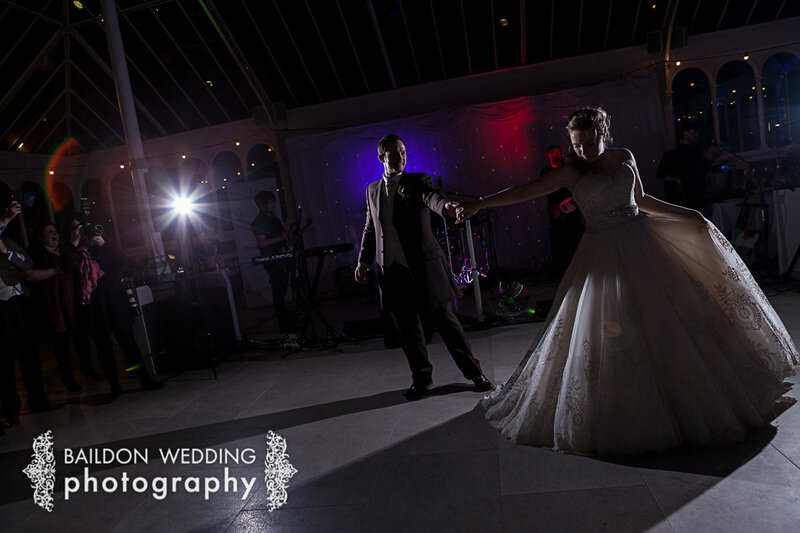 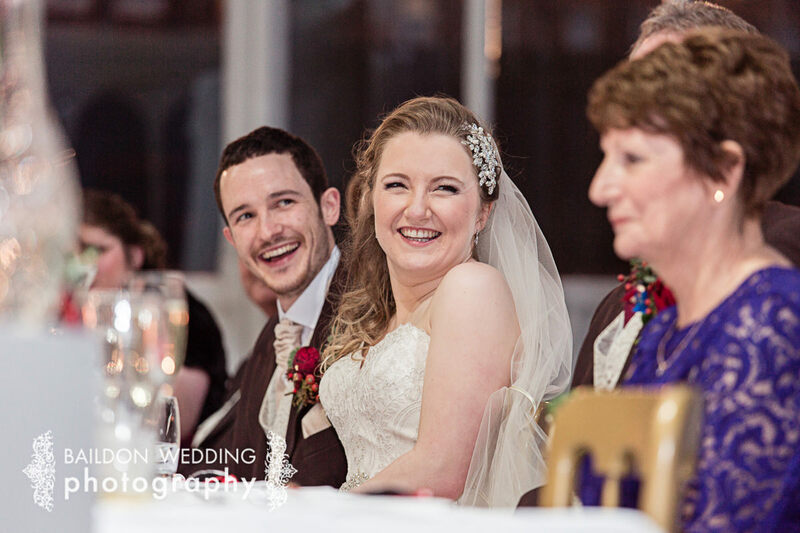 This wedding was so much fun to photograph, and it was fantastic to be able to work at such a flexible wedding venue for Holly and Melv’s winter wedding, and of course, visit the incredibly friendly city of Liverpool. 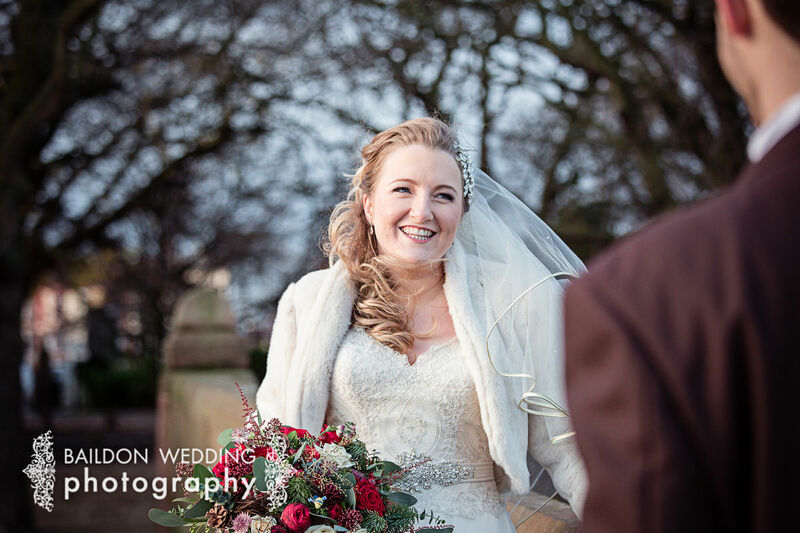 Huge thanks to Lynsey for second shooting.